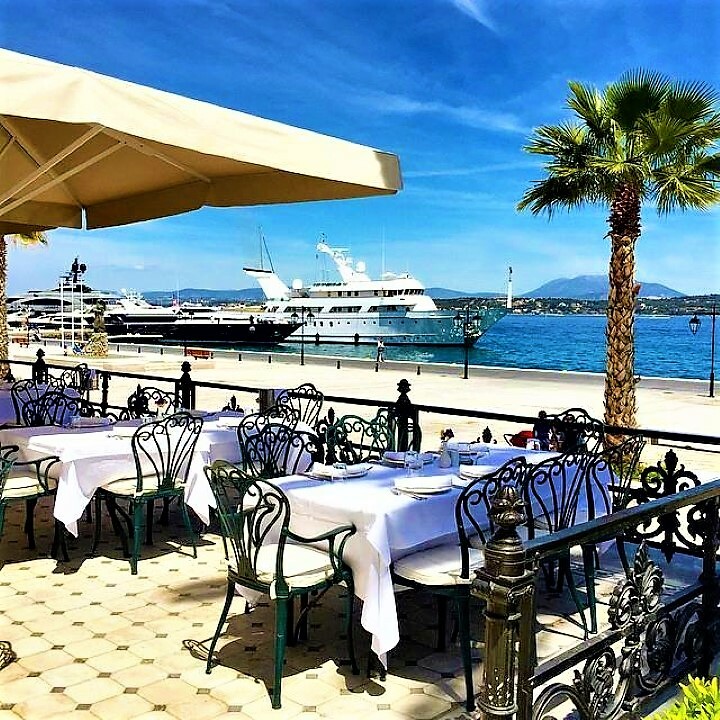 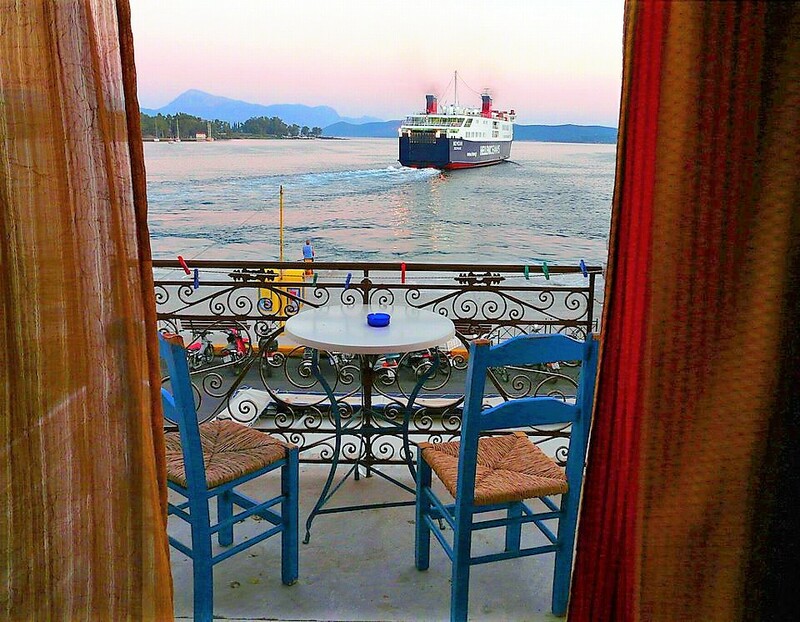 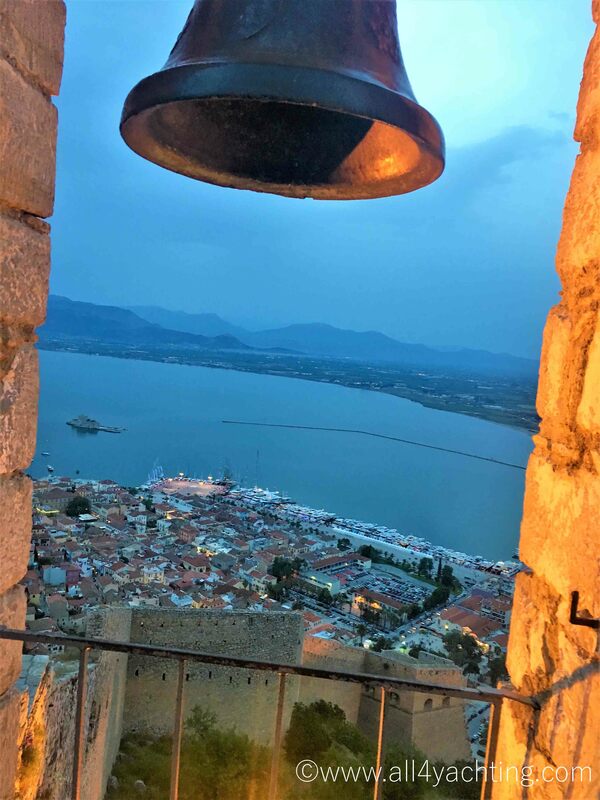 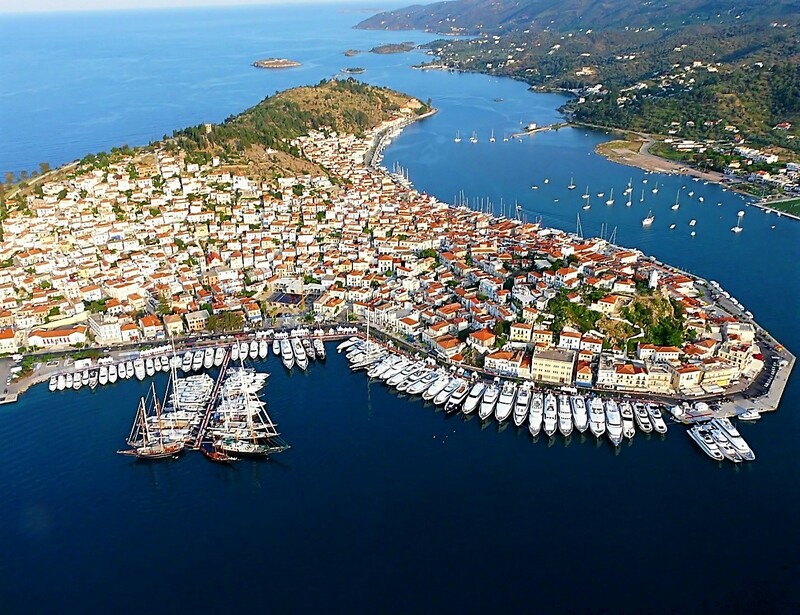 The Saronic Gulf is the ideal destination for those who wish to explore the unparallel beauty of the Greek Islands but with sort cruising time and ideal calm weather conditions. 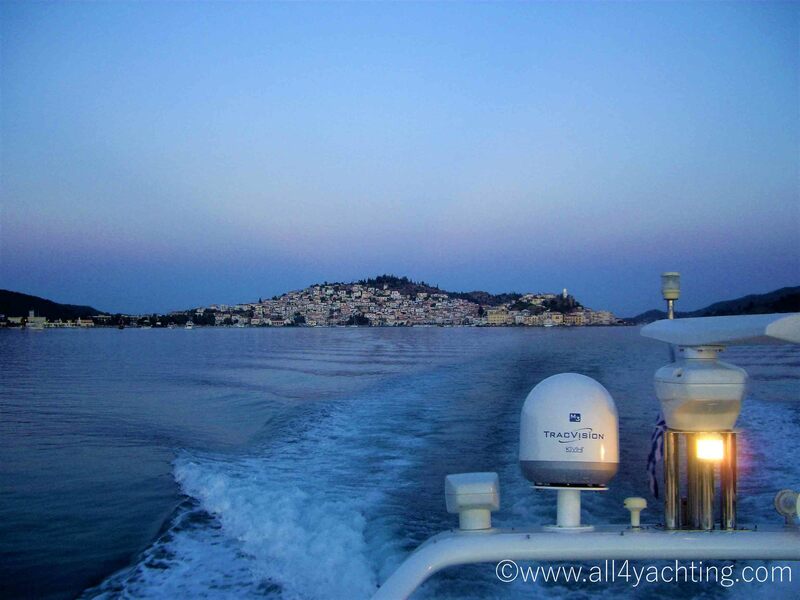 For a Sample Athens Daily Cruise Itinerary Please Click Here. 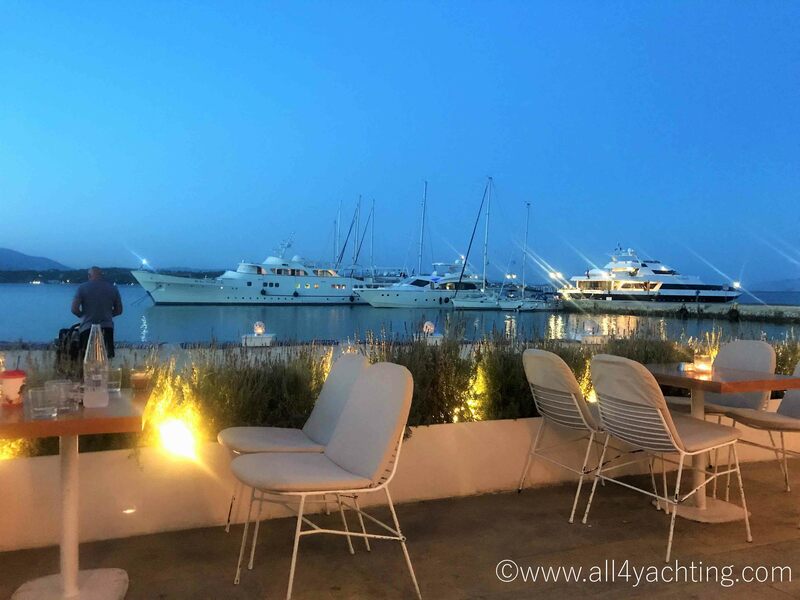 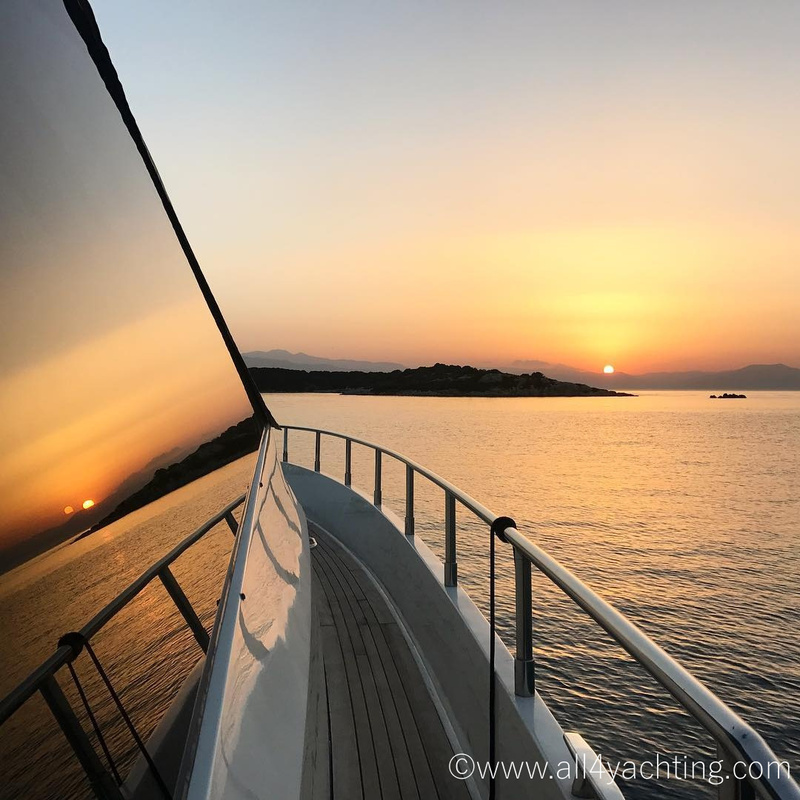 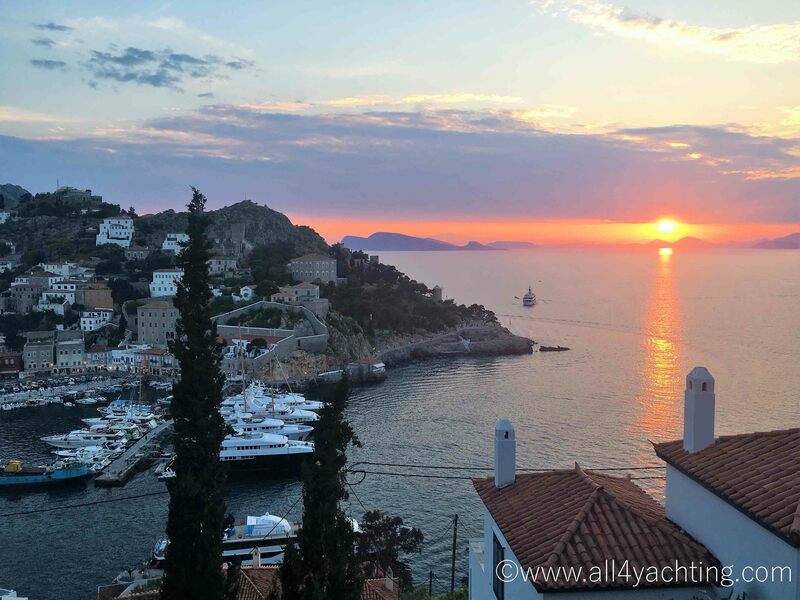 The new Athens international airport provides easy access to the charter bases which are located in the five numerous marinas which accommodate yachts ranging from sailing yachts to Luxury Mega Yachts. 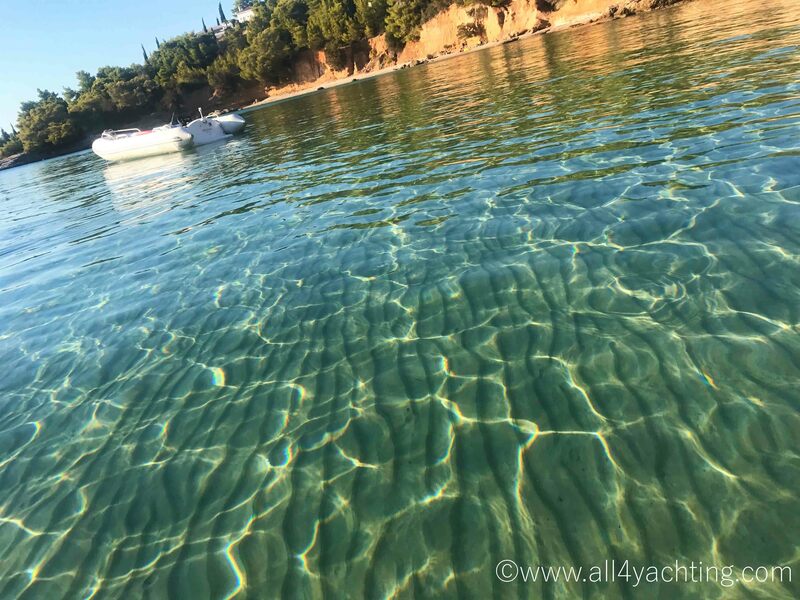 The area has calm waters, requires a little to some sailing competence / experience, offers all kinds of amenities , sightseeing and a good choice between secluded bays and quite coves to adventure, fun, night life and activities corresponding to the style of “organized tourism”. 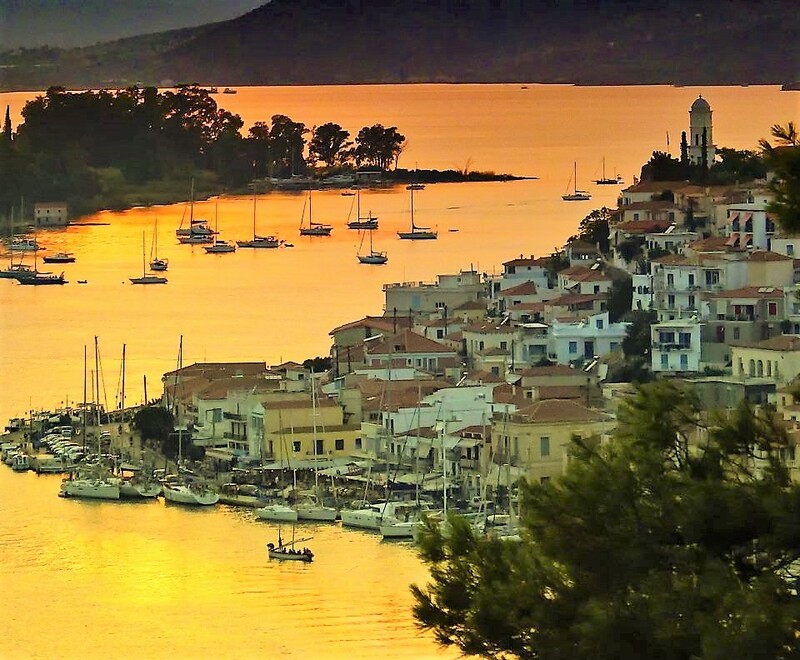 The islands situated in the Saronic Gulf southwest of Athens are among the most beautiful and interesting of all the Greek islands. 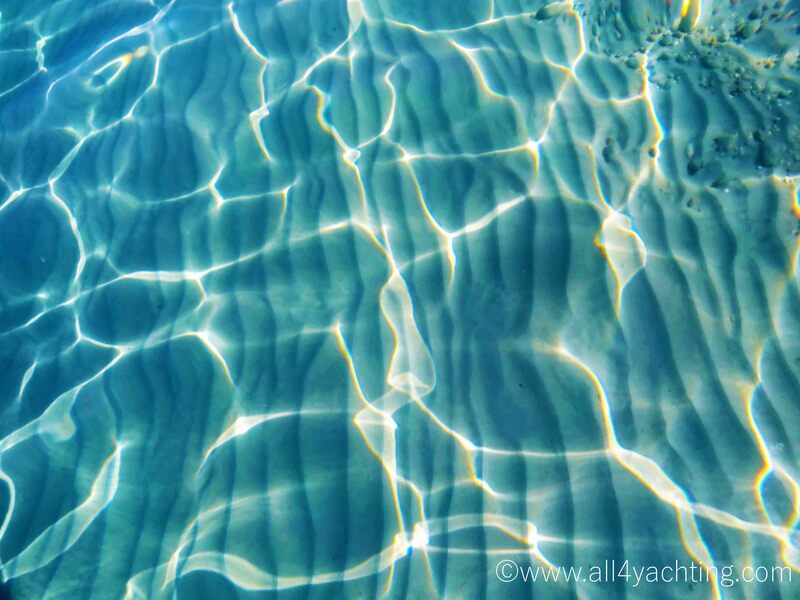 They are favorites close to one another, usually within a two or three hour sail. 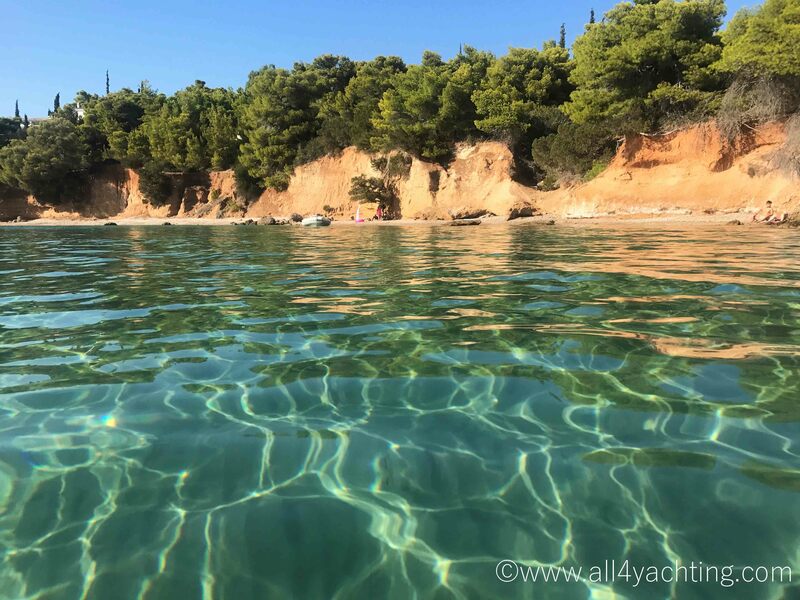 Long stretches of sandy beaches, fragrant pine forest, and rocky capes against a backdrop of brilliant sunshine and crystal blue water provide an infinite variety of scenic beauty. 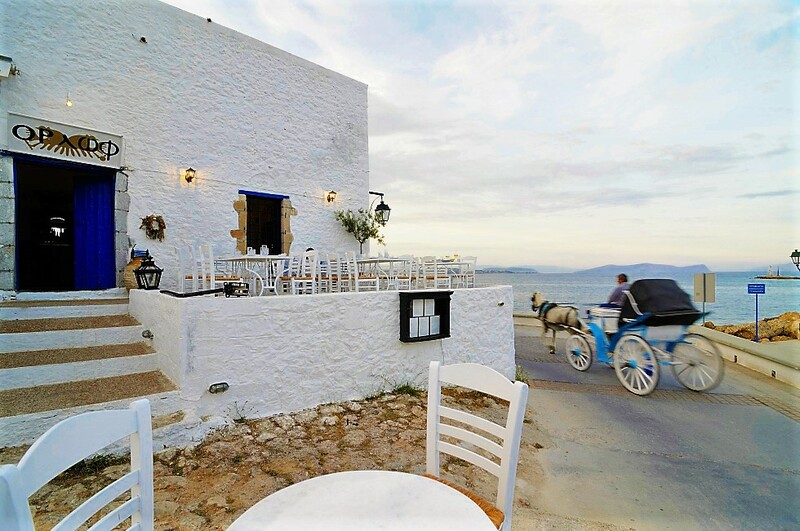 The cultures and people are as varied as the settings, luring visitors with pottery, sponges, pistachios, and almond cakes, which are available at shops and restaurants along the narrow, winding streets of the island towns. 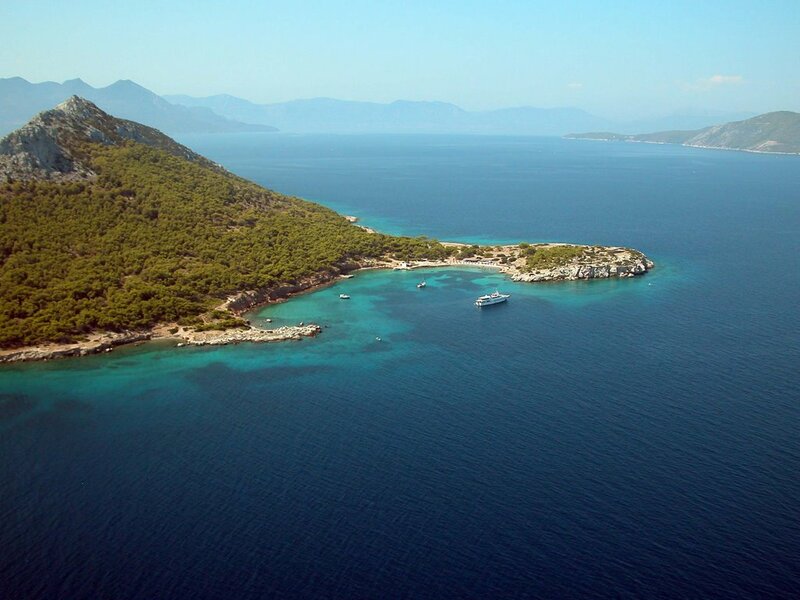 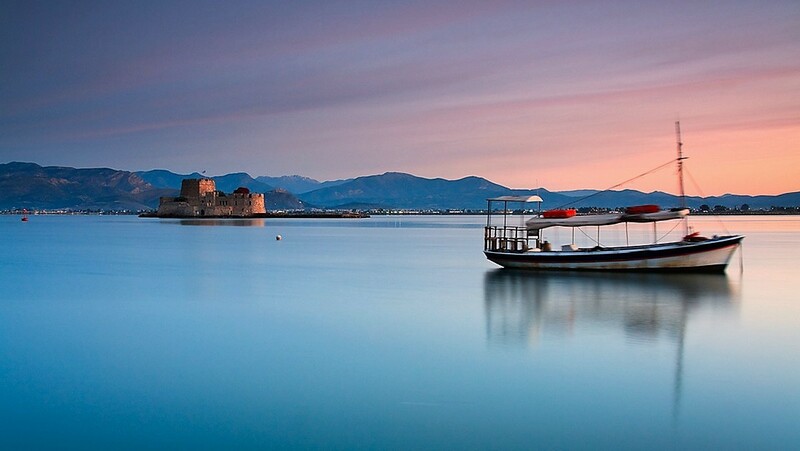 There are busy cosmopolitan islands as well as quiet unspoilt secluded islands. 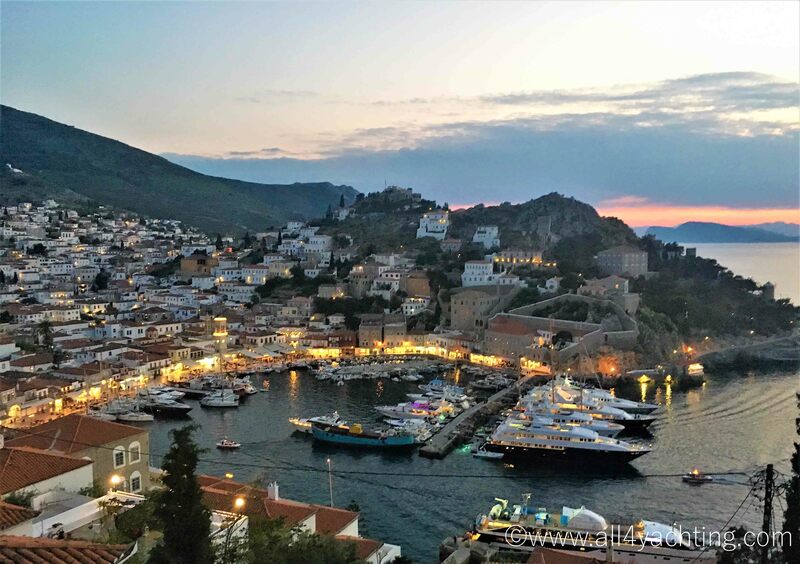 The seafood is deliciously fresh and the highlights of this itinerary are the schools of dolphins which will accompany you from island to island, jumping over the bow as you go! 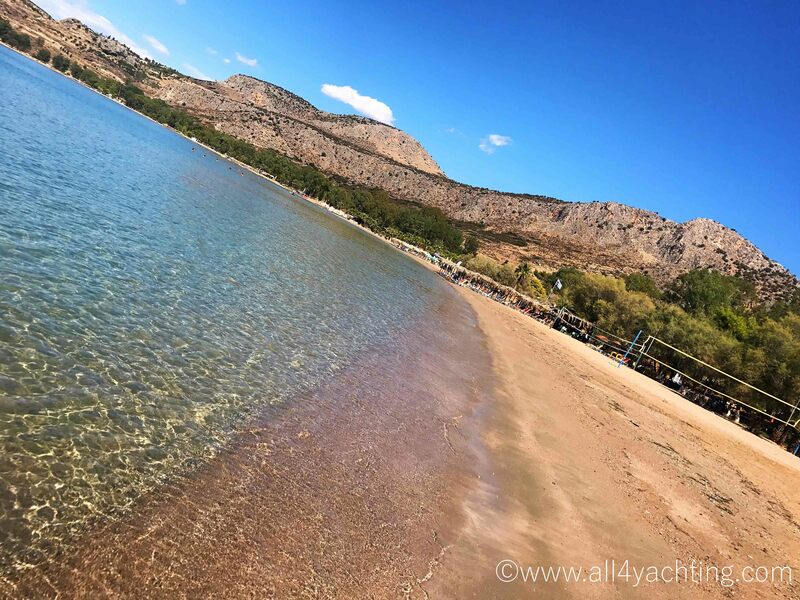 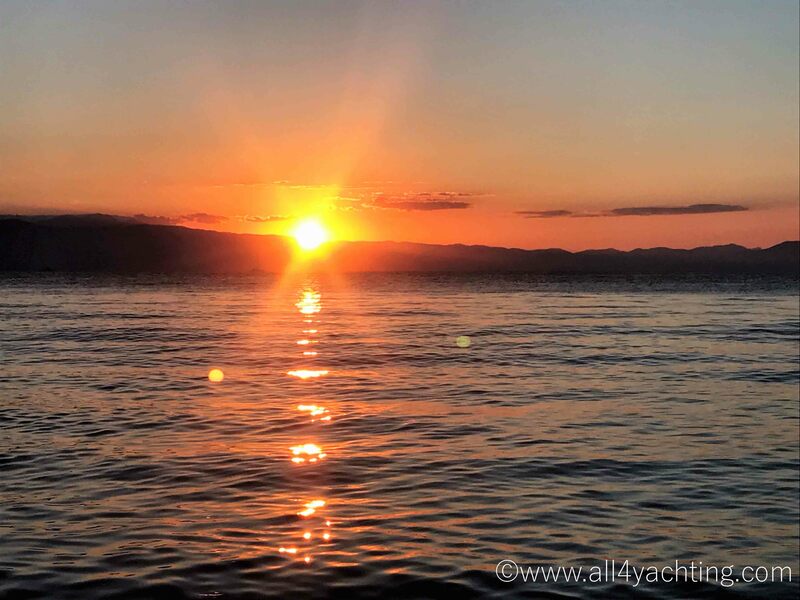 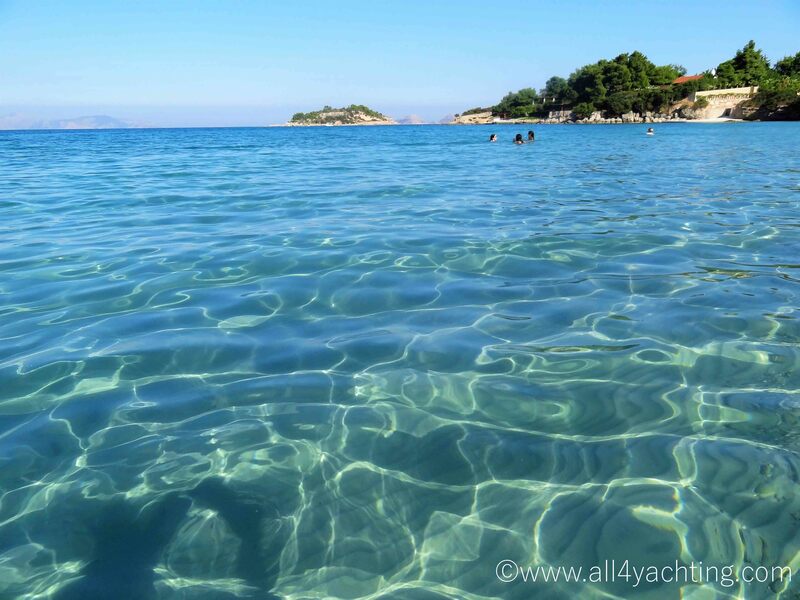 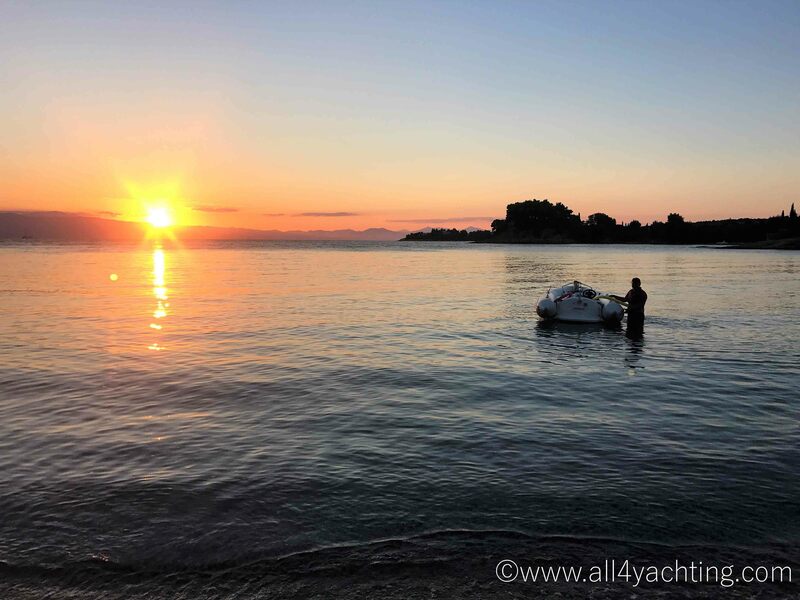 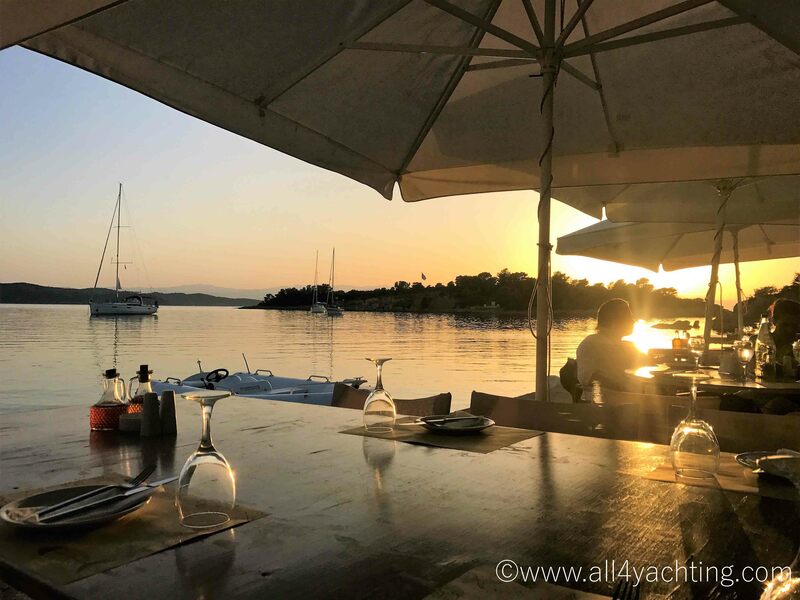 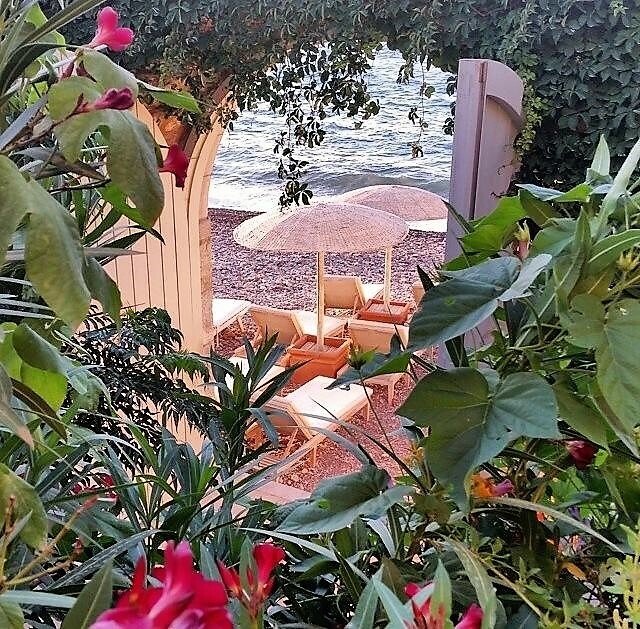 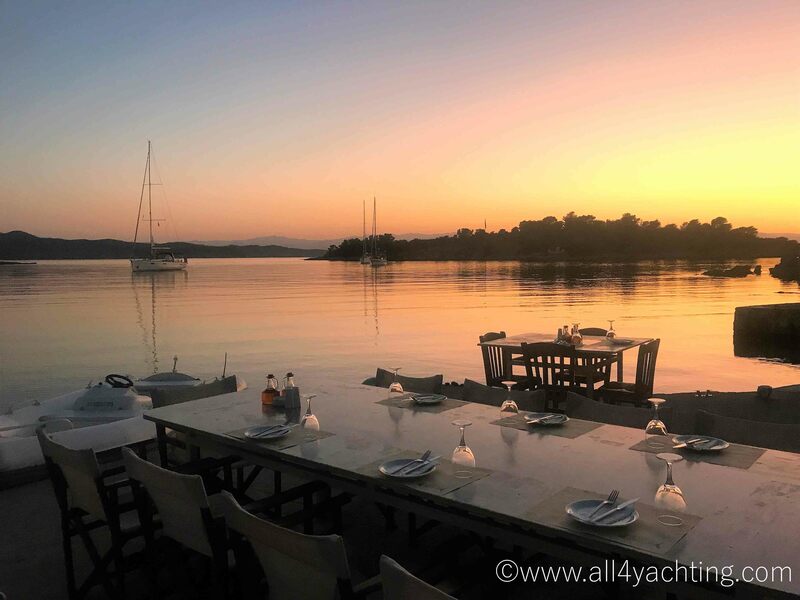 It is a picturesque island located very close to Athens and therefore very popular among Athenians, especially for short trips, either by yachts or by ferries and flying dolphins. 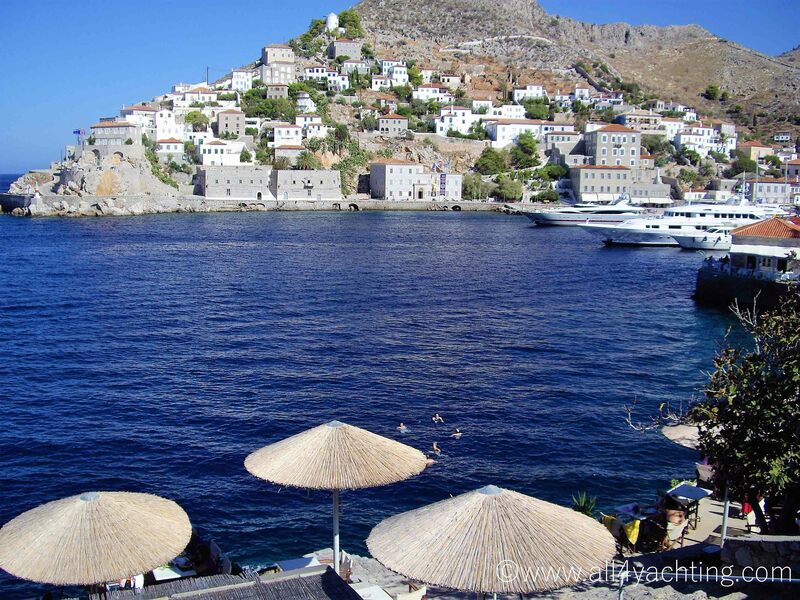 Many of them have their summer houses there and therefore you will see some impressive villas climbed in its hills. 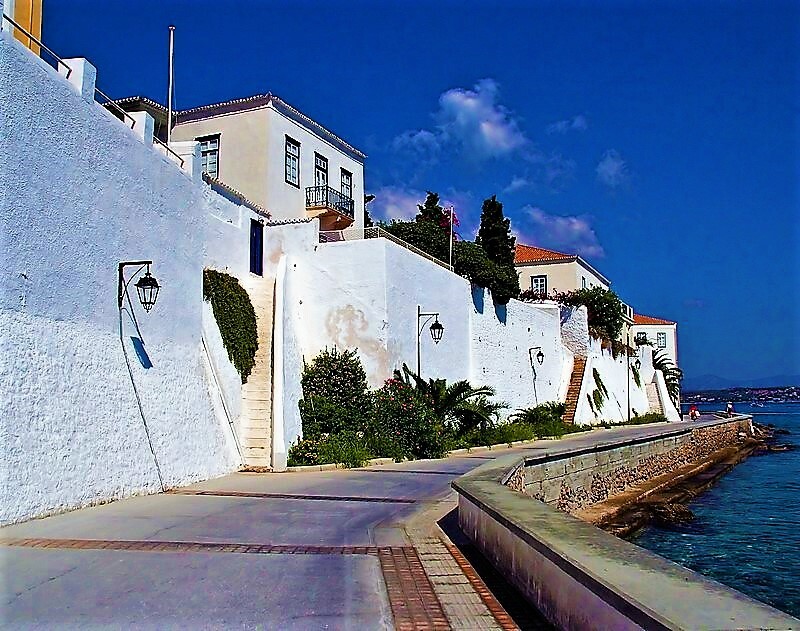 It has a quite traditional town (port) with neo-classical architecture, 2-3 picturesque fishing villages and important archaelogical sites. 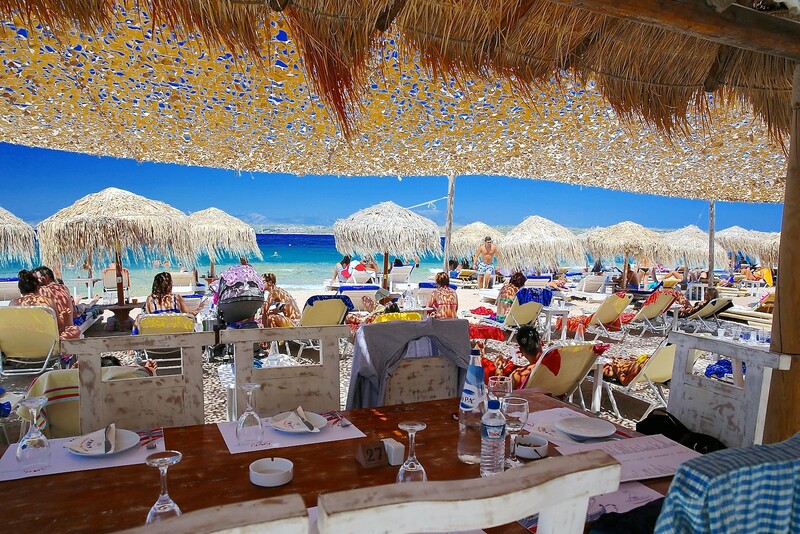 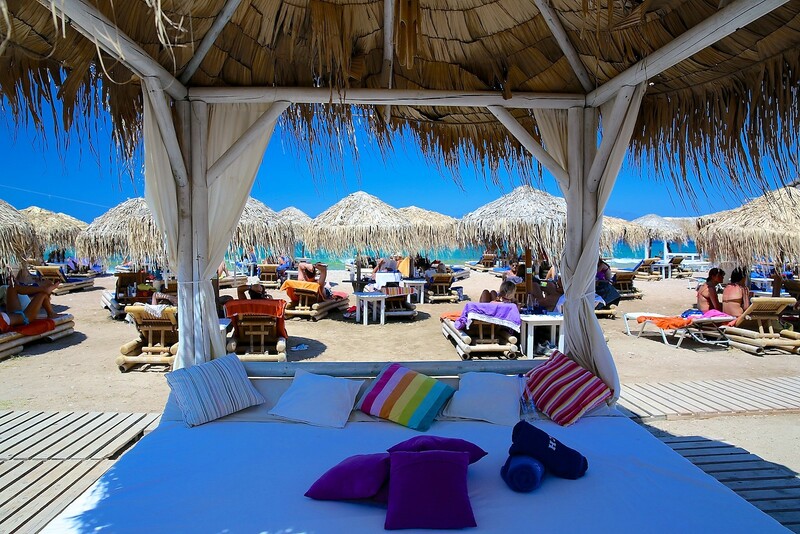 It has a descent touristic infrastructure and a variety of tavernas, clubs, bars, pastry shops, cafes, beach bars etc. 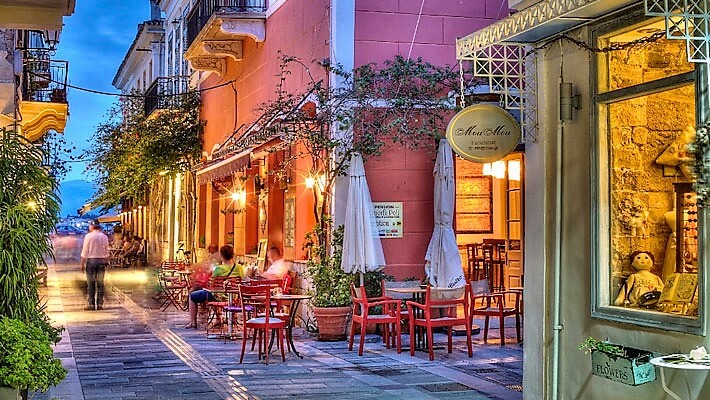 Night life is not wild but visitors will find a few greek music and international music dancing clubs, mainly in the town. 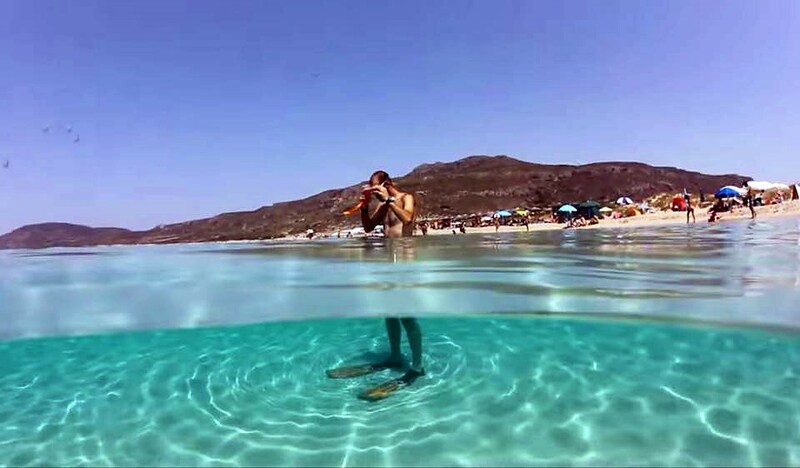 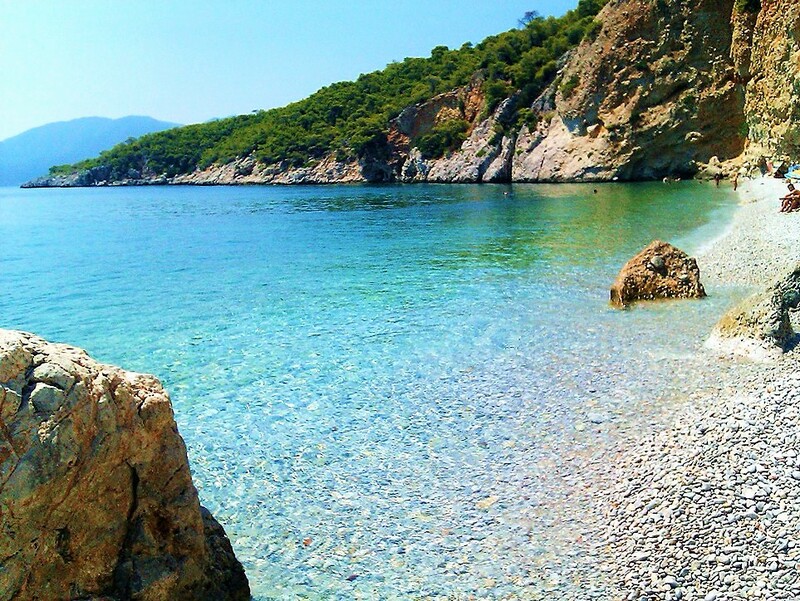 It has a few nice beaches but they are not among the best of Greece. 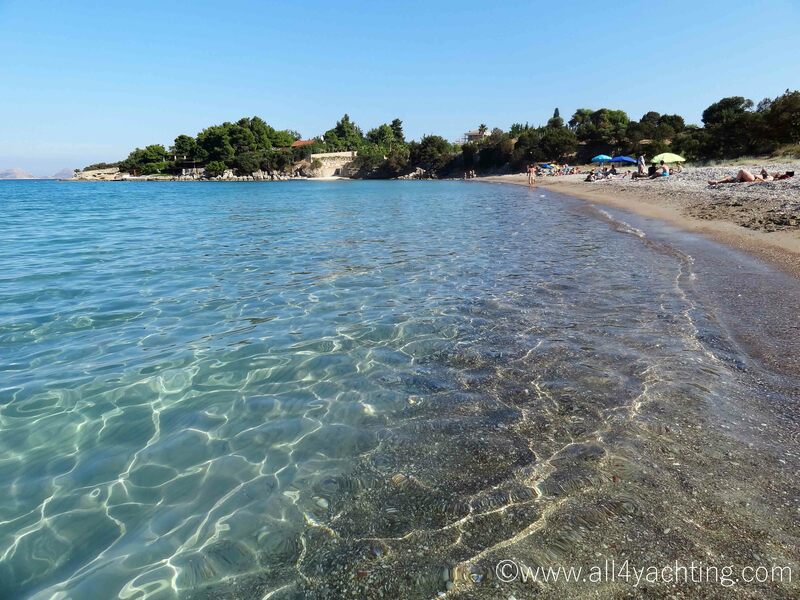 Agistri is a well kept diamond. 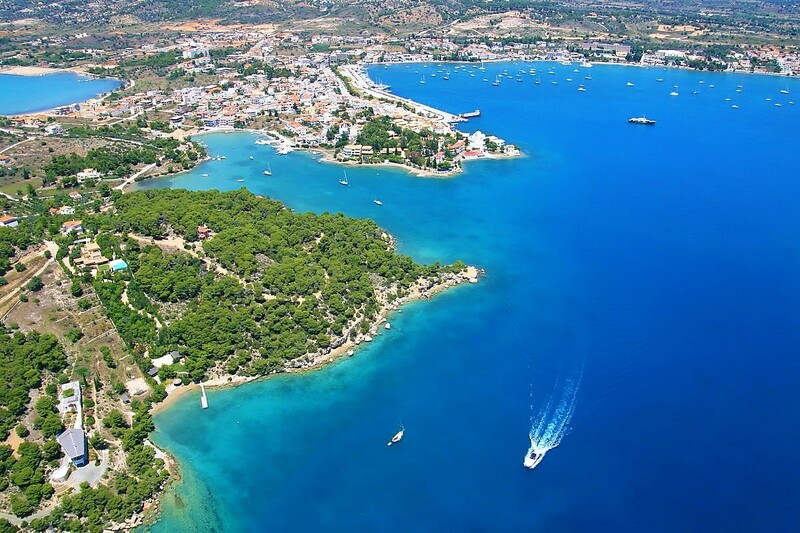 It is a very small island with a marvelous natural landscape, lush pine woods and definitely the most exotic waters in the Saronic Gulf. 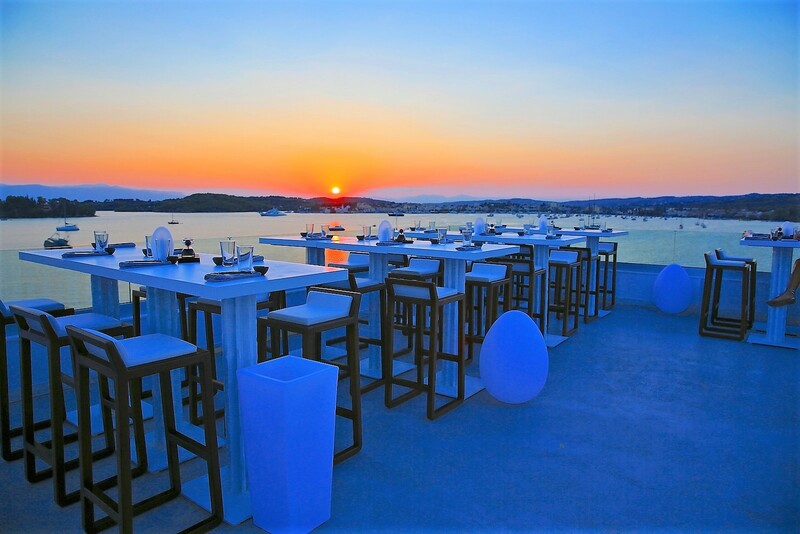 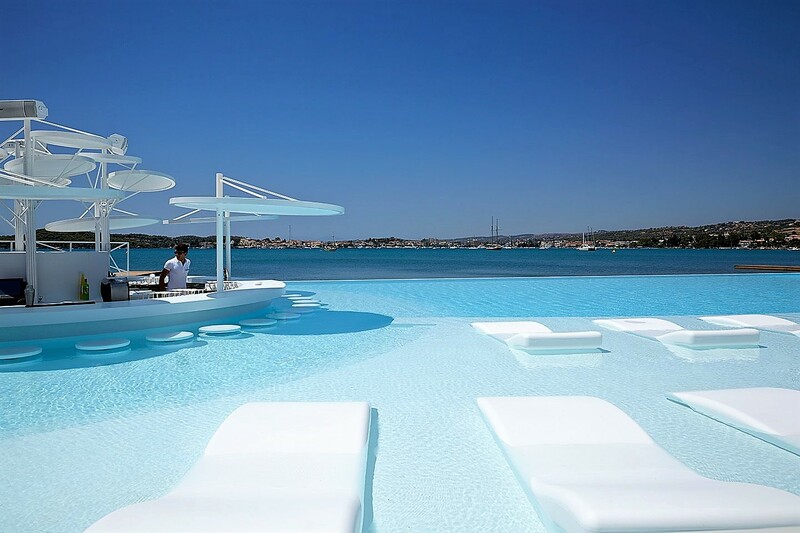 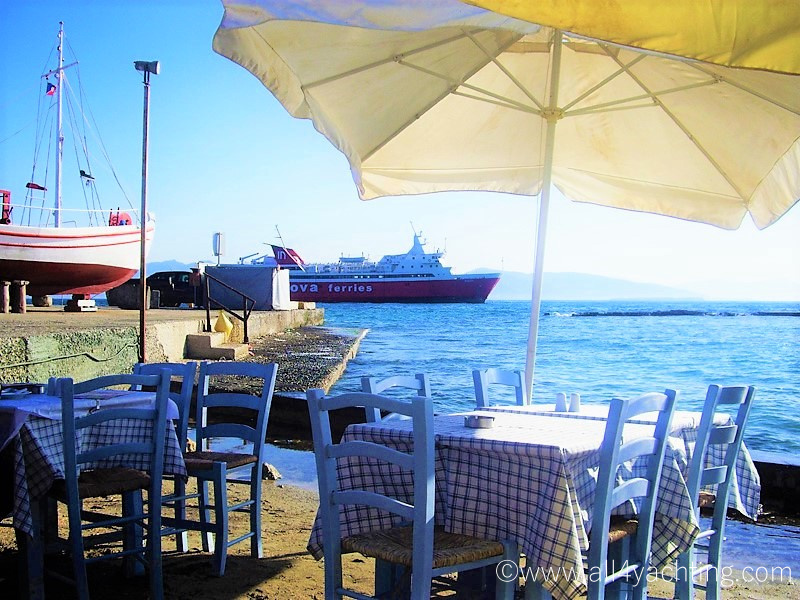 It is located at only 20 n.m. from Piraeus (Athens main port) and 4 n.m. from Aegina. 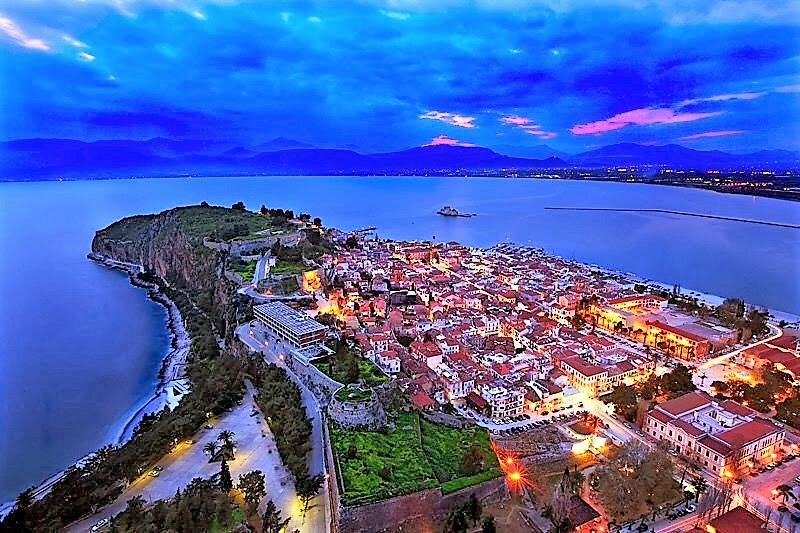 However it is not well known to most people, not even to Athenians. 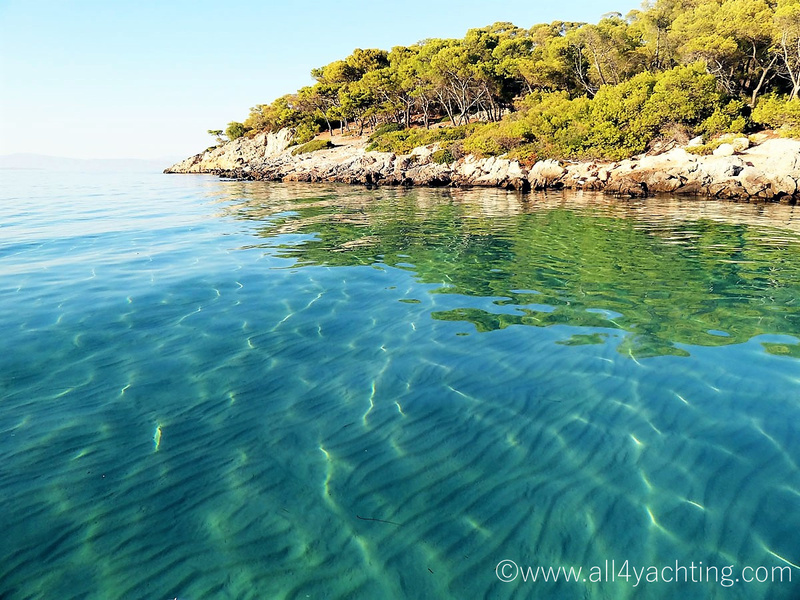 Until the 80's Agistri was a rather isolated destination without any touristic infrasructure. 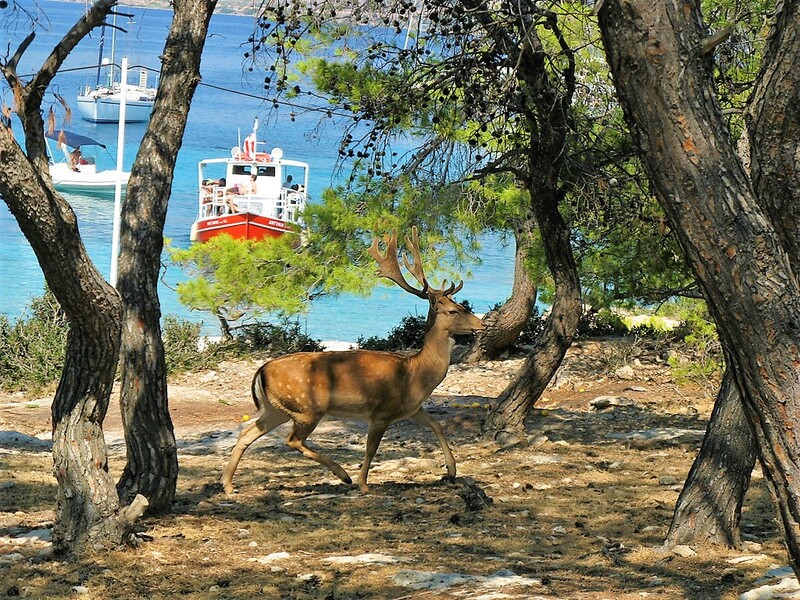 It was popular only among free campers. 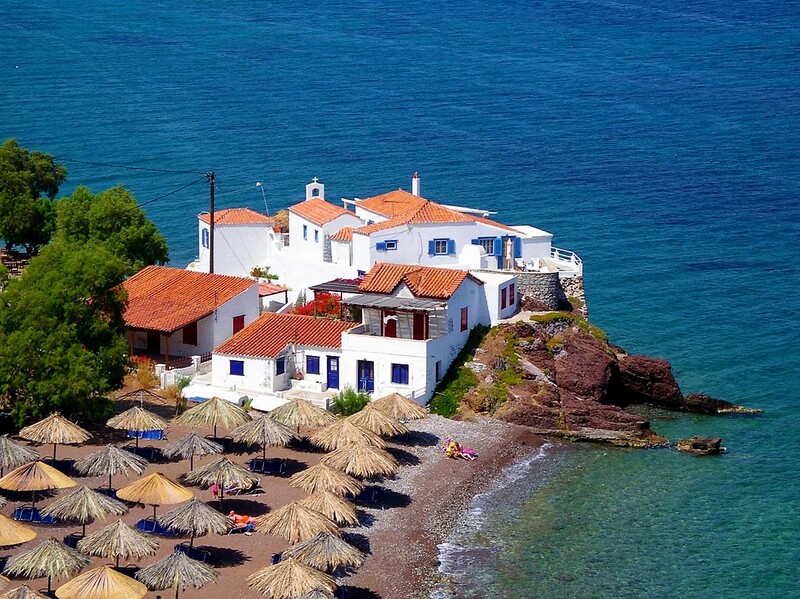 Tourism has only recently been developped and that helped locals to stay in their island. 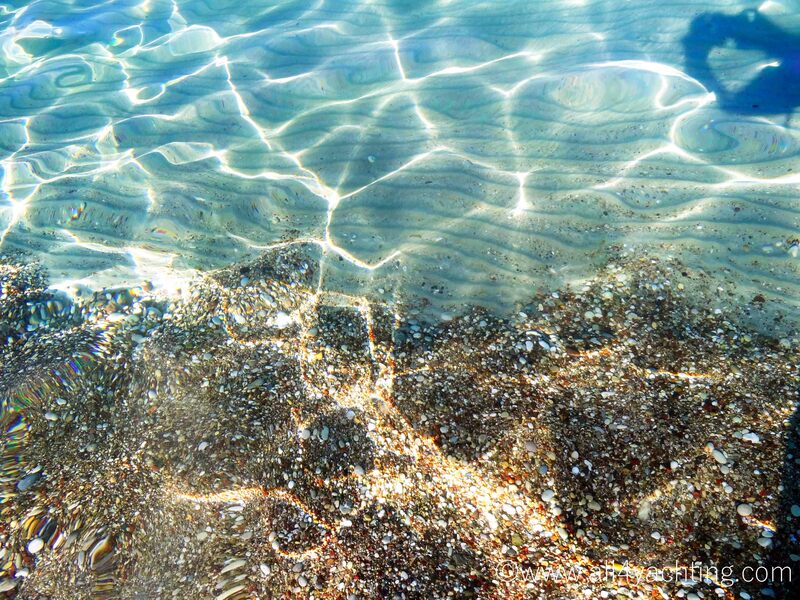 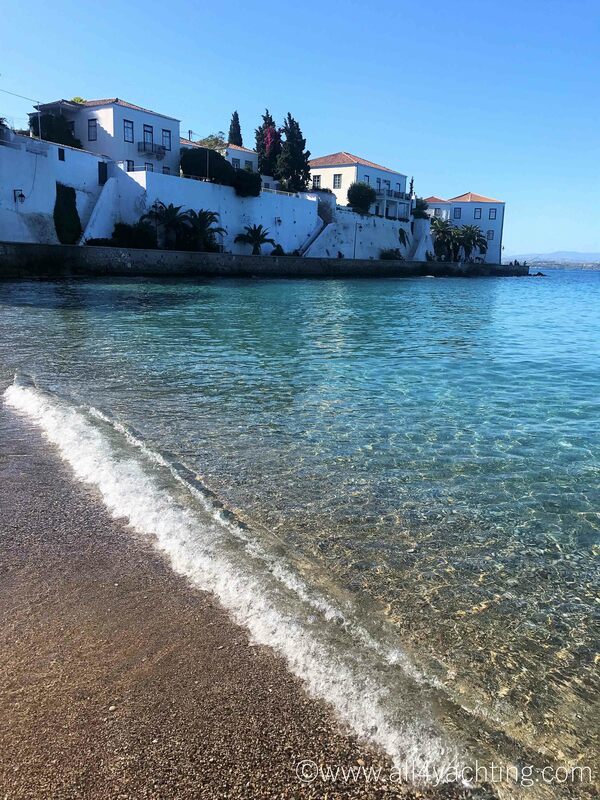 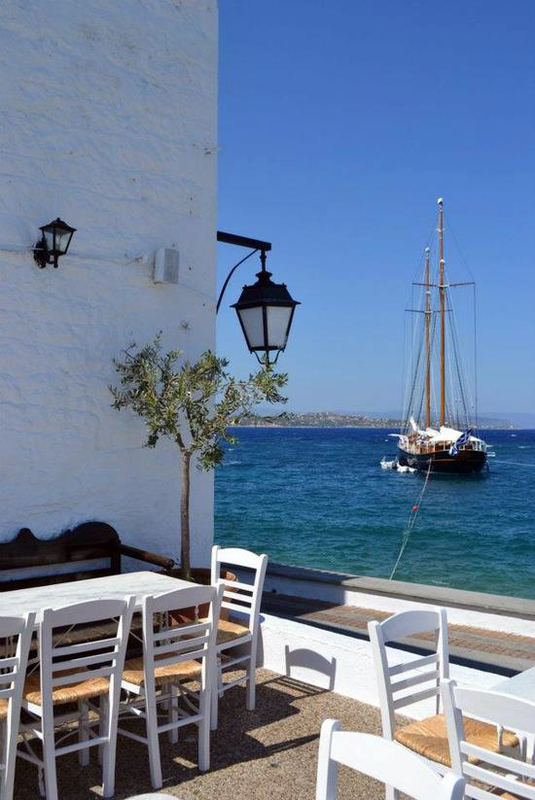 Today Agistri has more than 1.000 local residents in the winter and more than 5.000 residents in the summer. 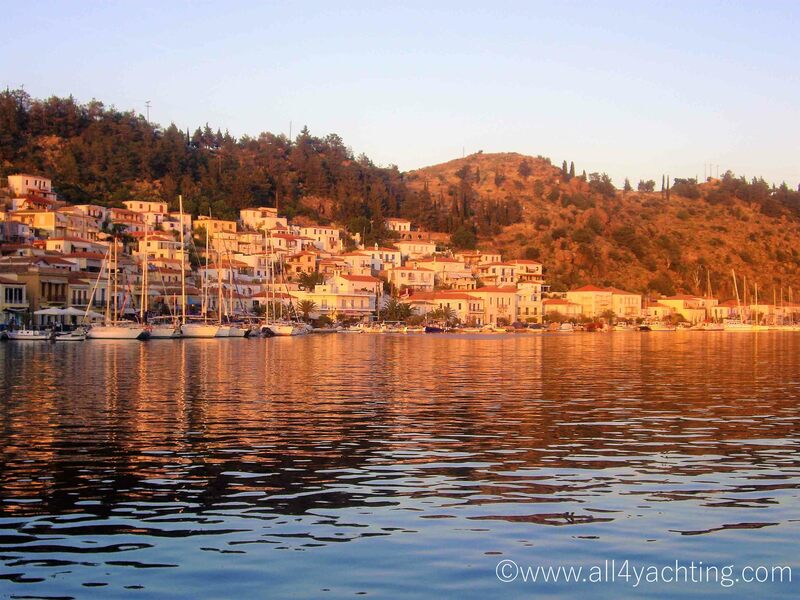 Poros has a unique landscape and is one of the most popular yachting destinations. 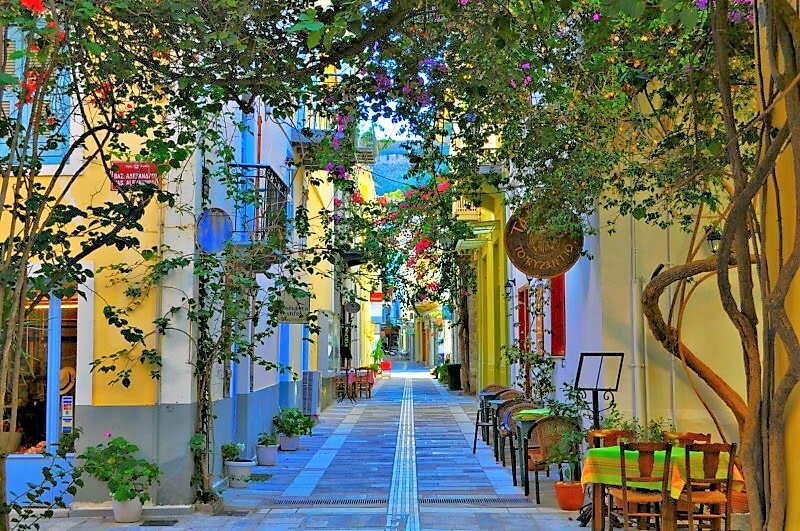 It located close to Athens and is divided by the mainland Peloponissos (Galatas) only by a narrow canal. 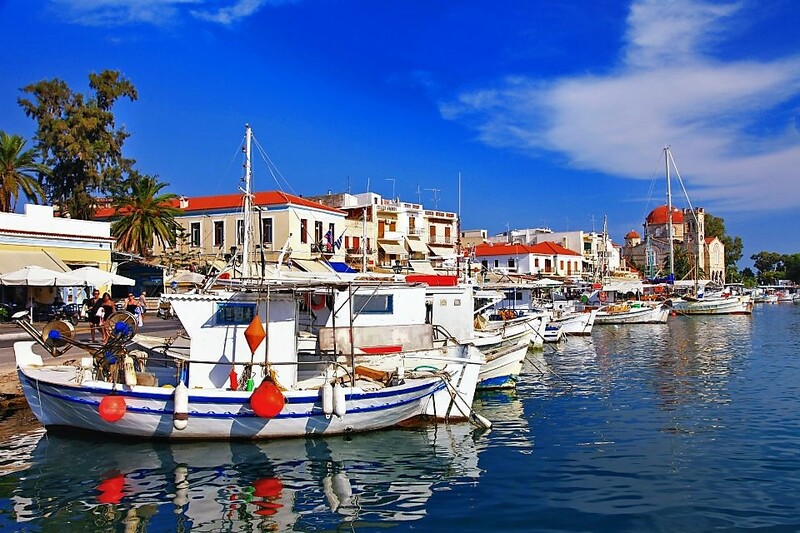 It has a picturesque town which is also its port. 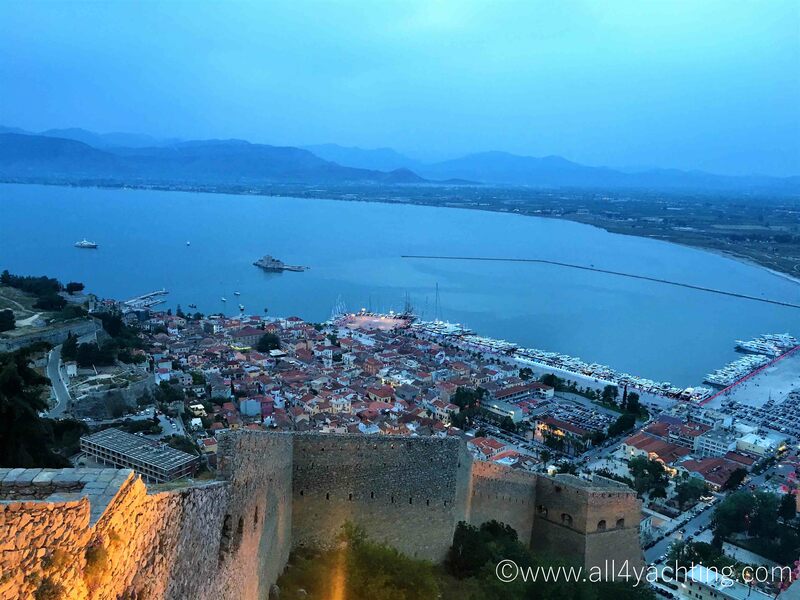 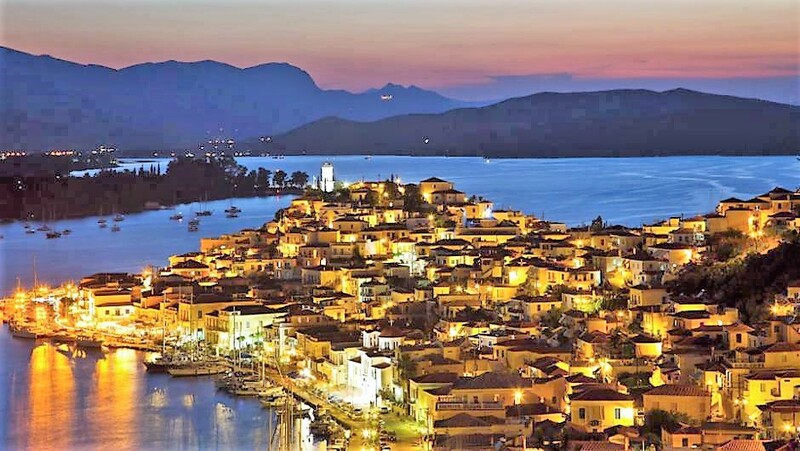 It is usually preferred by Greeks (as a family destination) for a short trip and is not developed as a mass tourism destination. 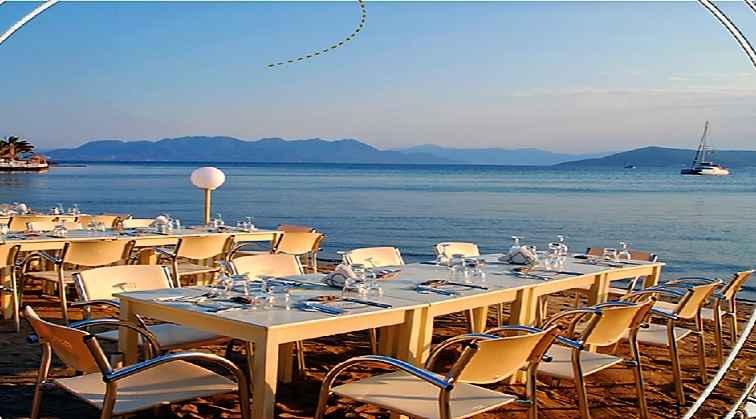 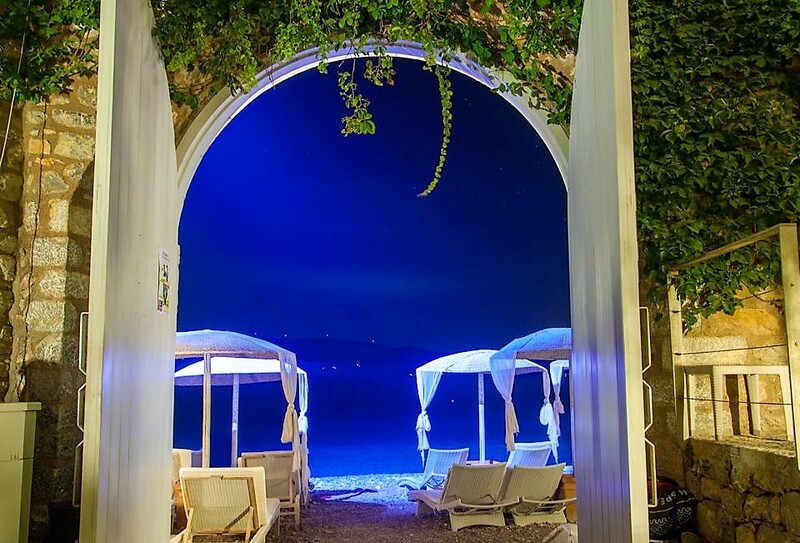 However it offers a good variety of options for accommodation, food and entertainment, as all Greek destinations. 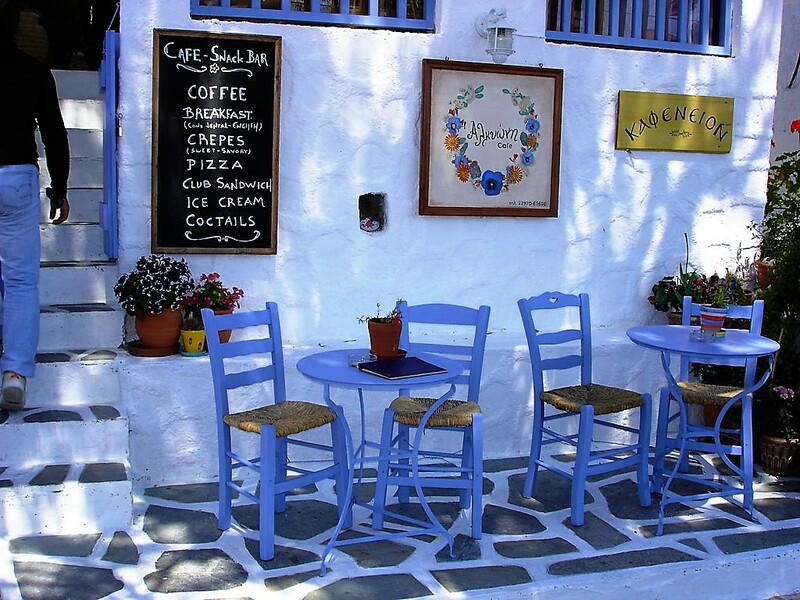 Many tavernas, cafes and bars are all over the town and the nearby settlement, Askeli. 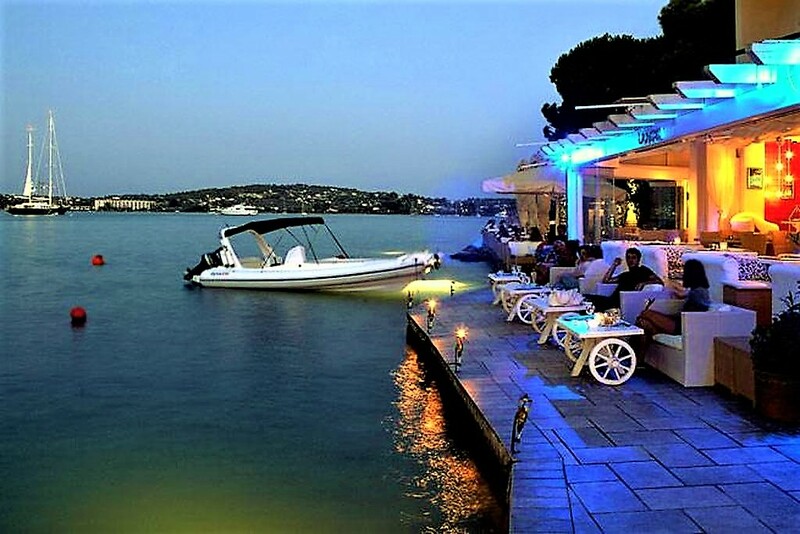 Night life is not wild but there are 1-2 nice dancing clubs in the town. 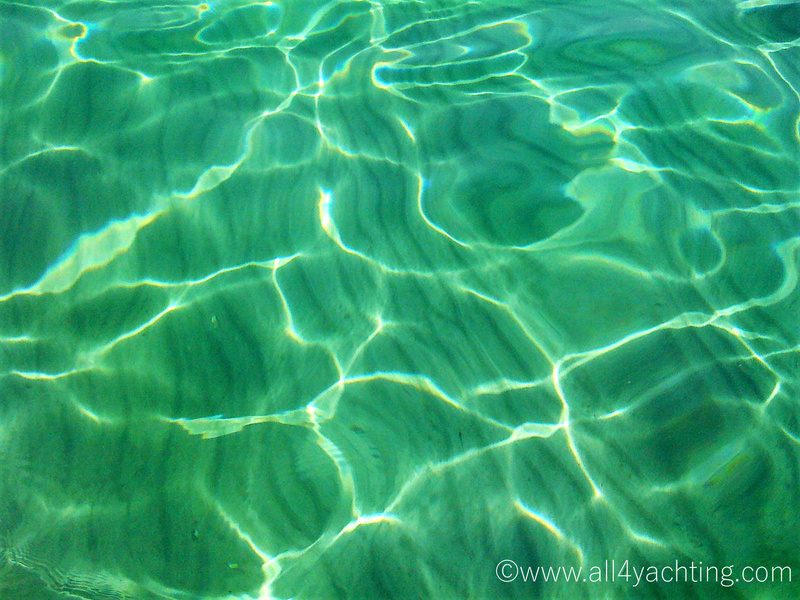 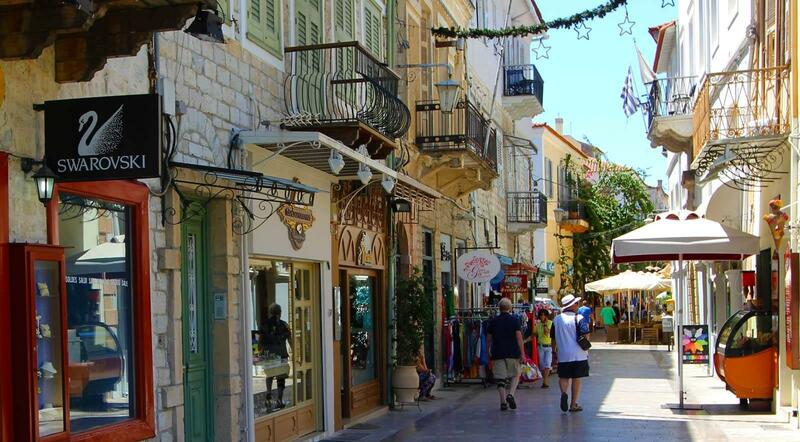 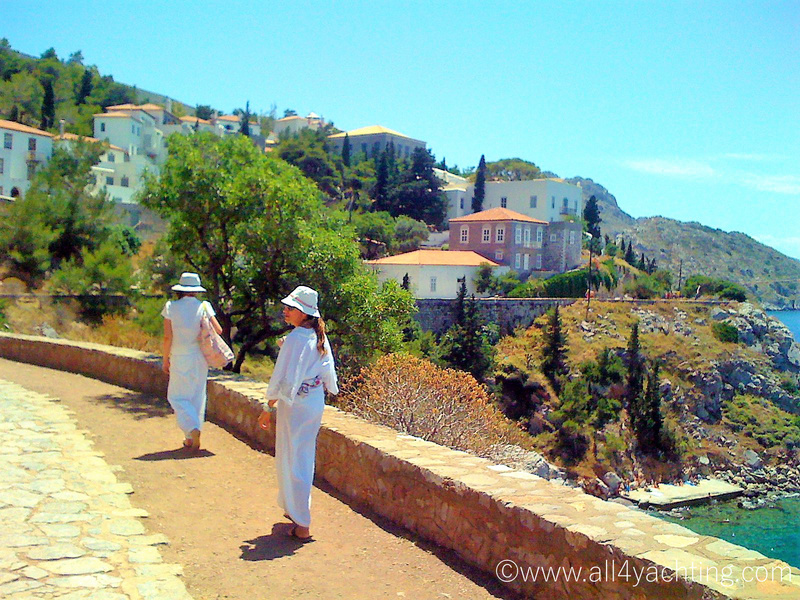 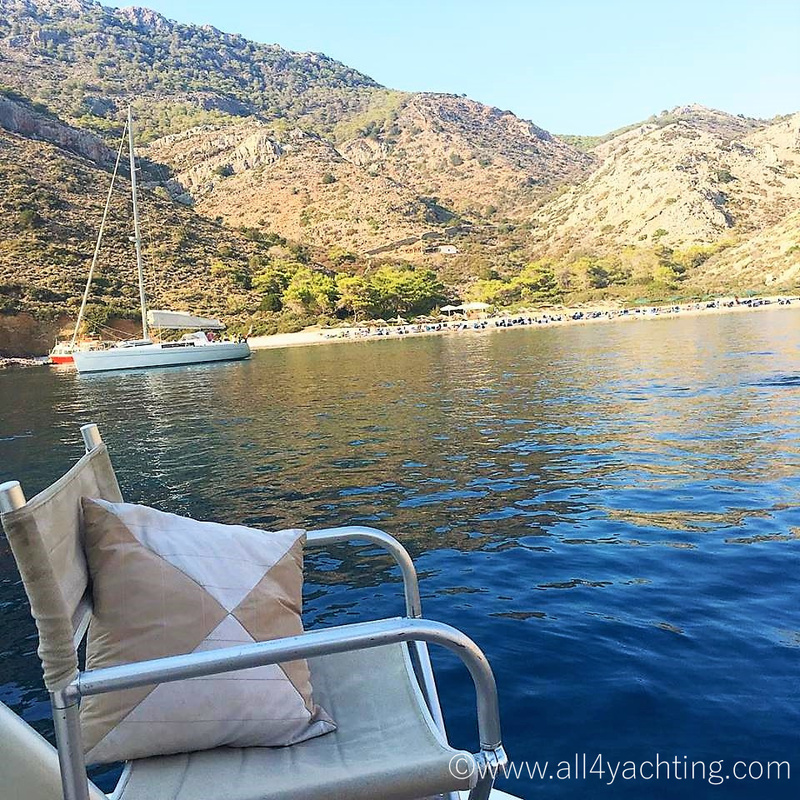 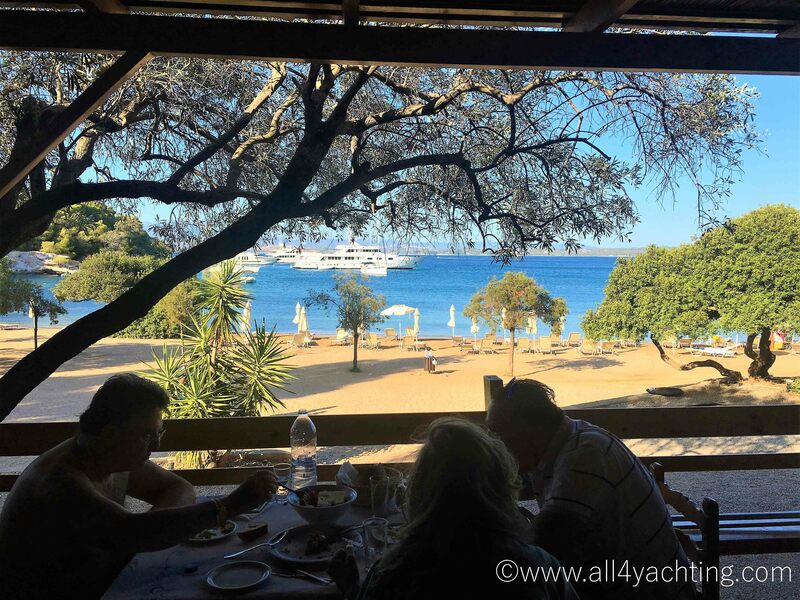 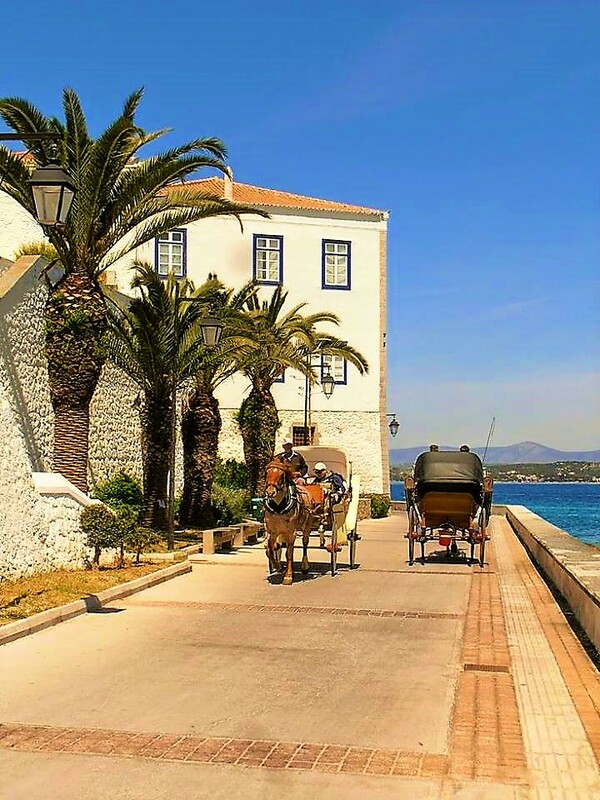 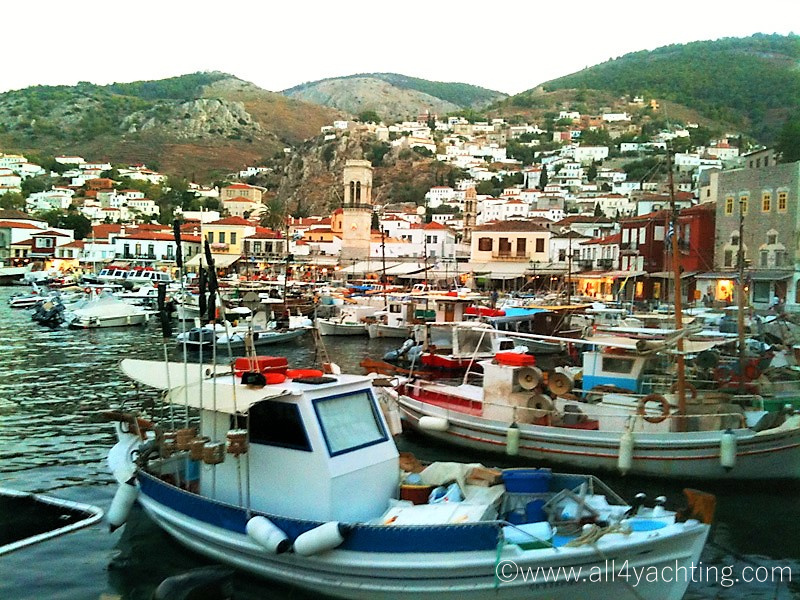 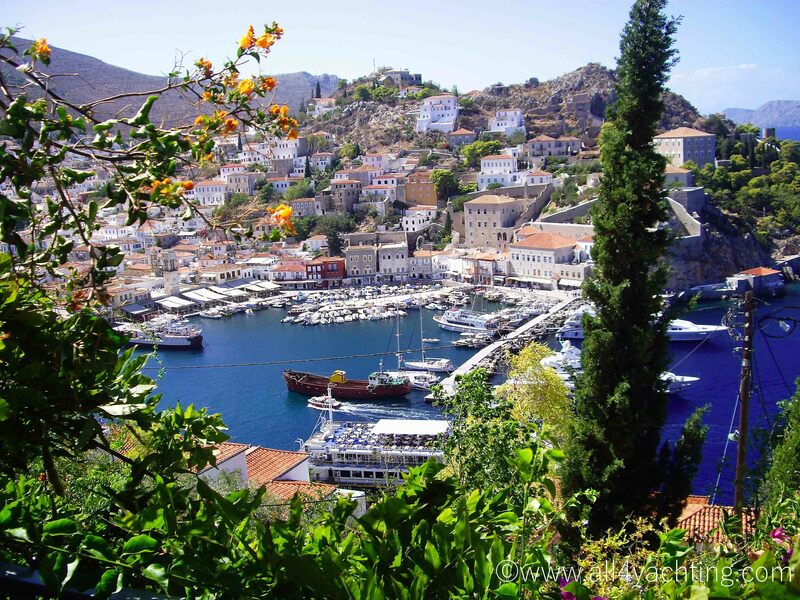 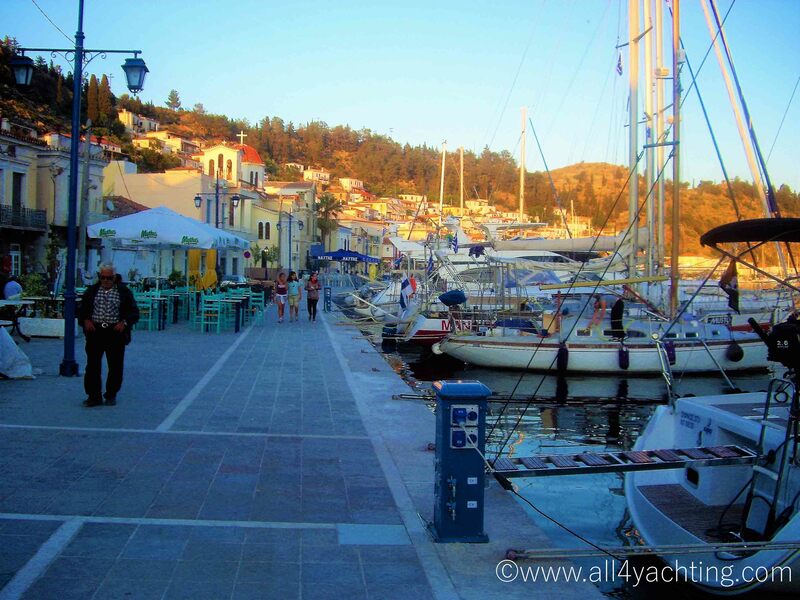 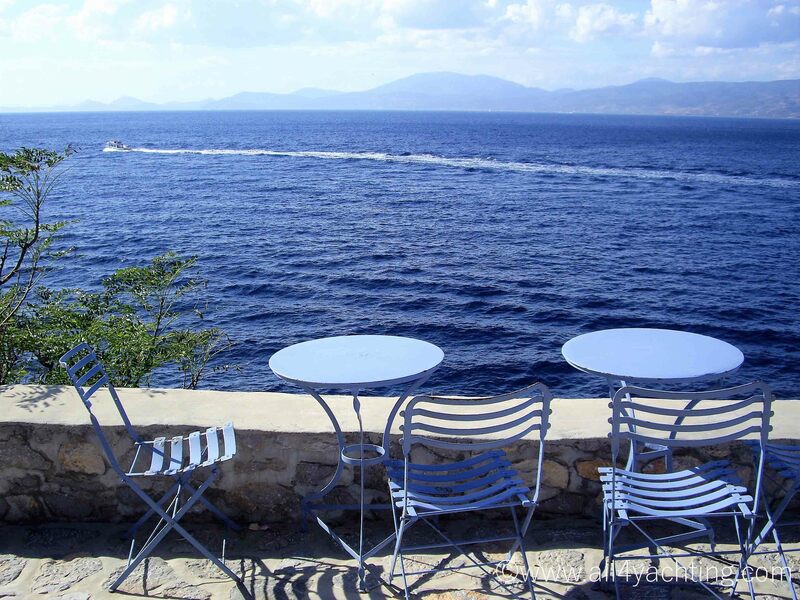 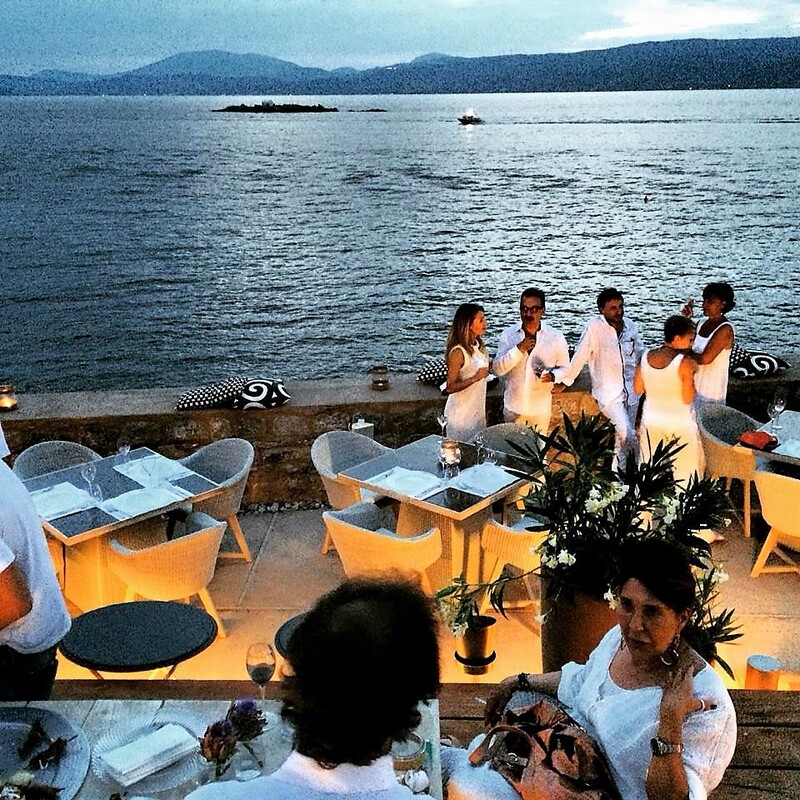 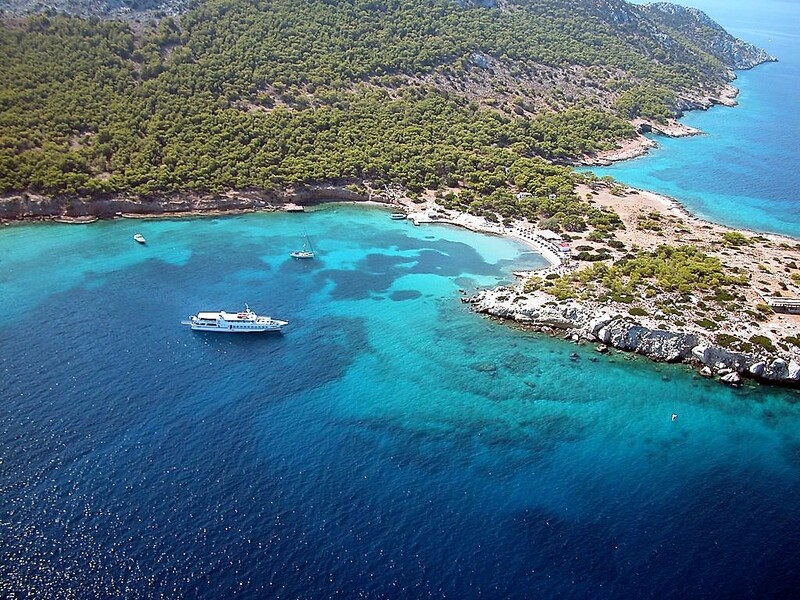 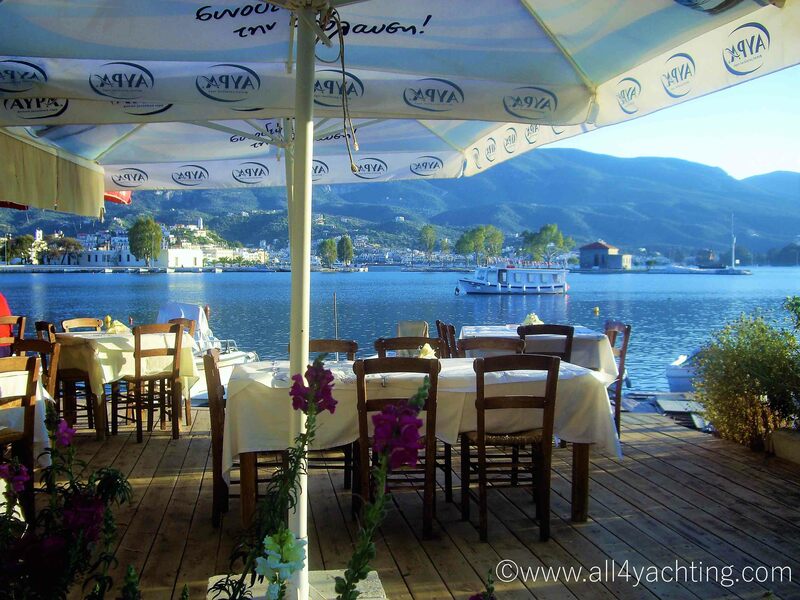 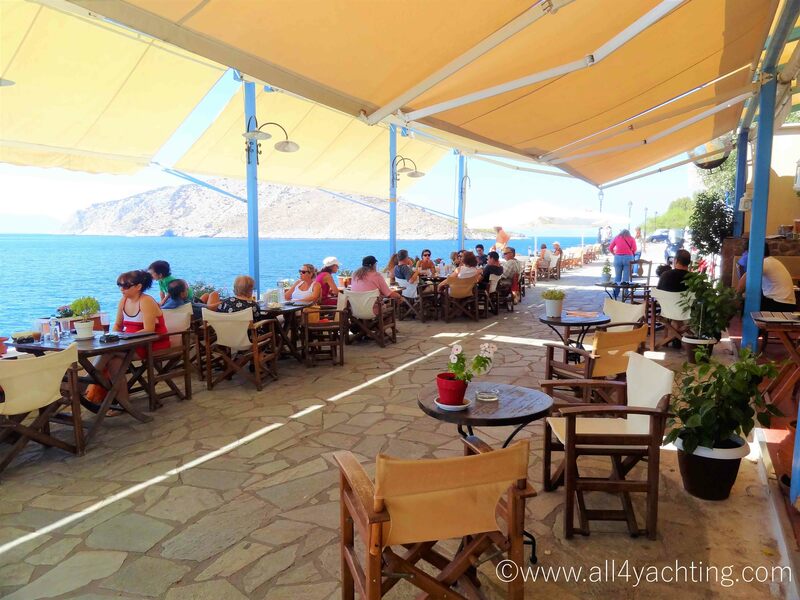 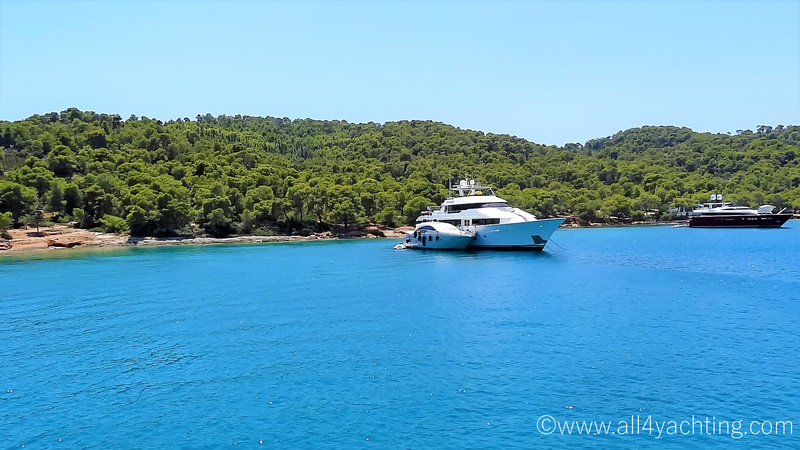 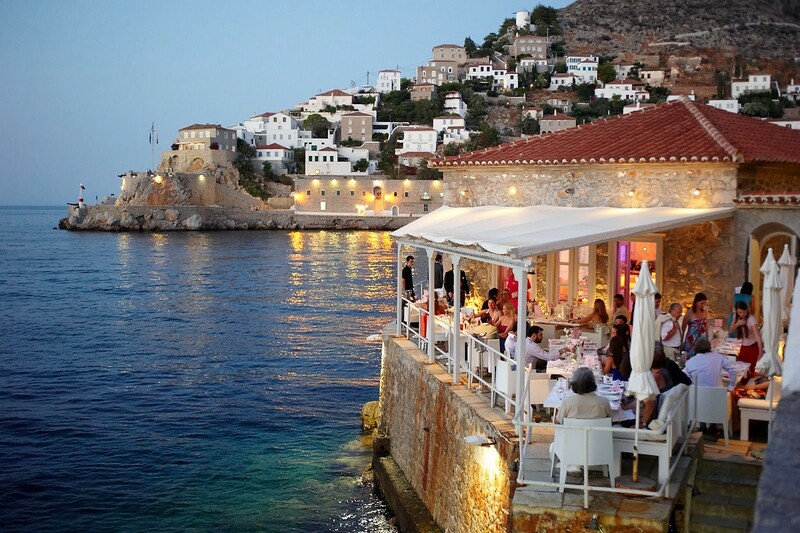 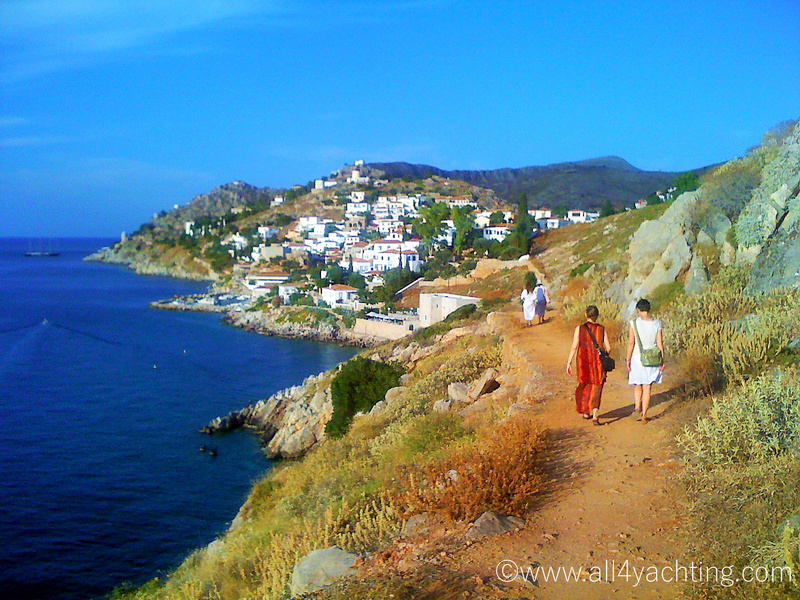 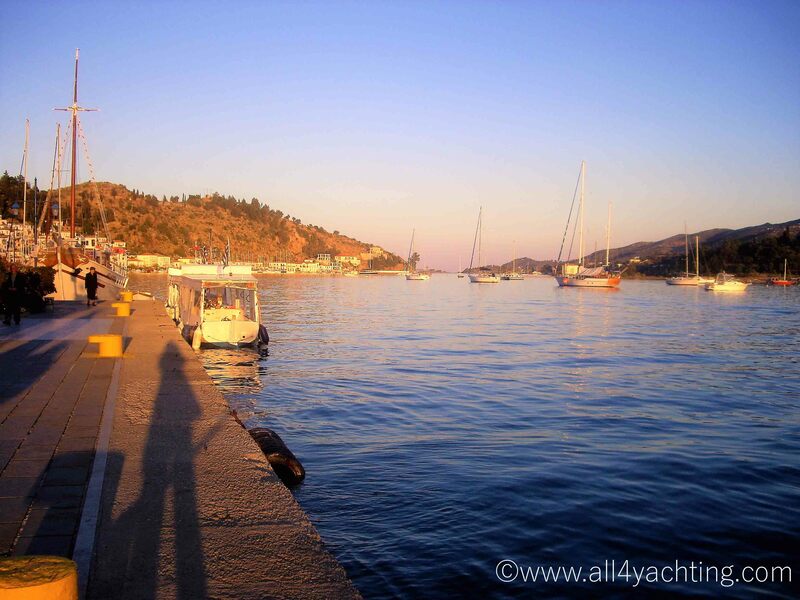 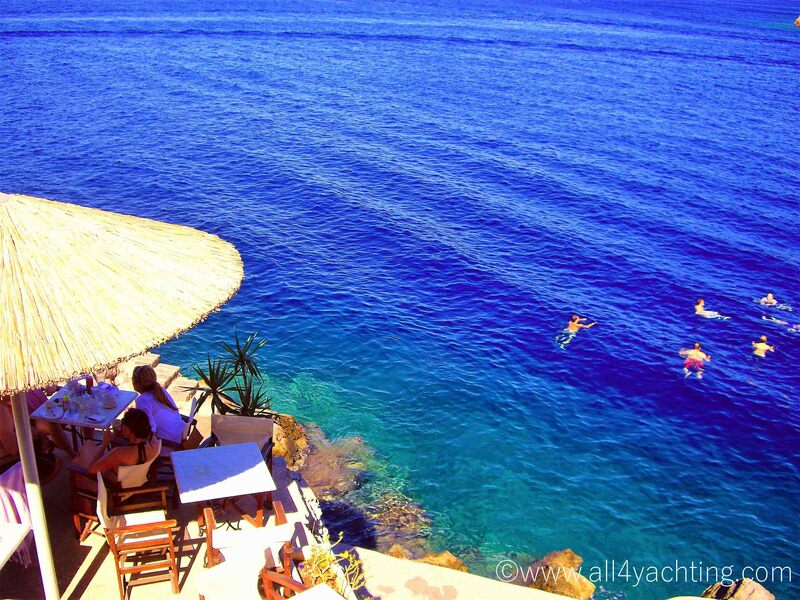 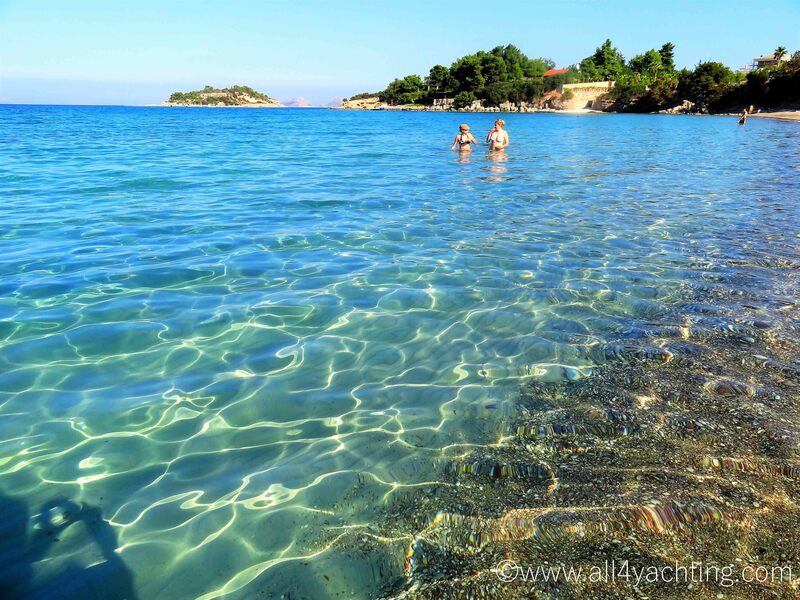 Poros attracts all yachters because it is the most "yacting friendly" island of Saronic Gulf. 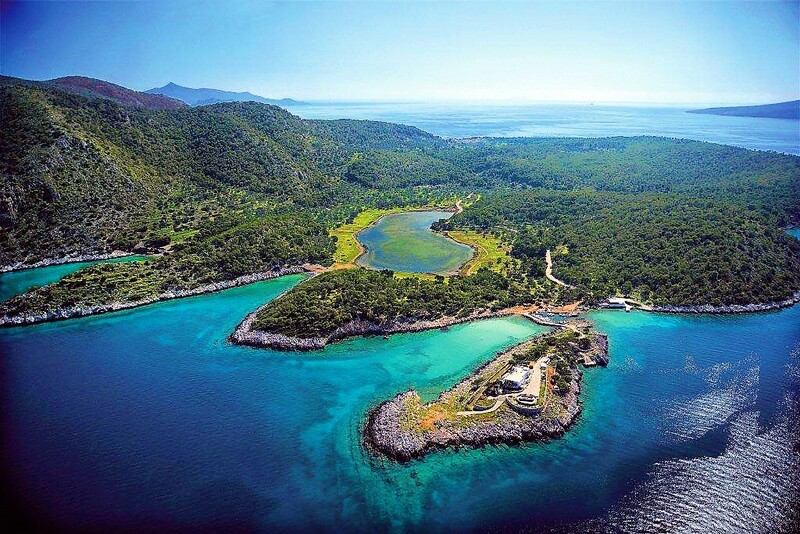 It is full of greenery and its pine trees come all along the emerald green sea. 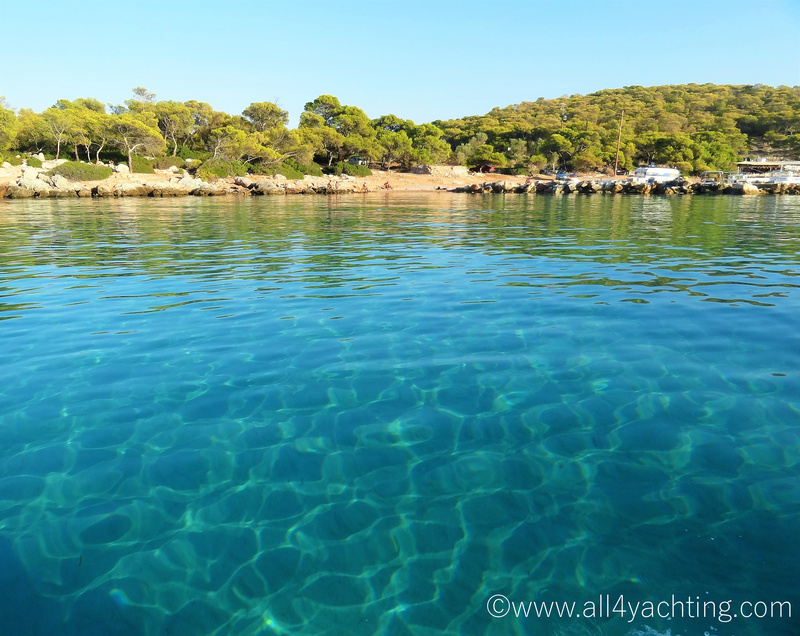 It has a few cozy beaches but they are usually crowded by yachters and bathers.